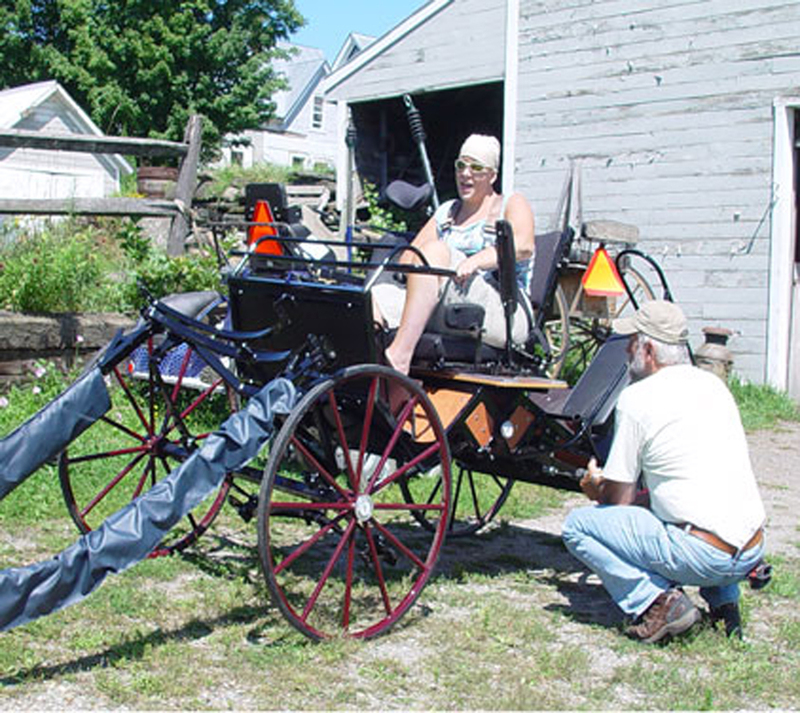 Runningbrook Farm client, Sara St Peter, tries out her custom Bird-in-Hand Wheelchair Accessible Red Hawk designed to allow easy transfer from a wheelchair. 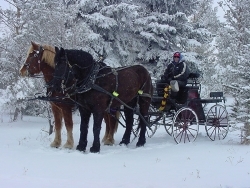 Steve Siegel braves the frigid weather to drive his Draft Horse Size Red Hawk in the freshly fallen snow of Cheanne, Wyoming. 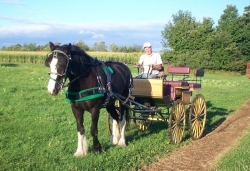 Buba tries out his new Bird-in-Hand Vis-a-Vis before it is shipped to Africa! 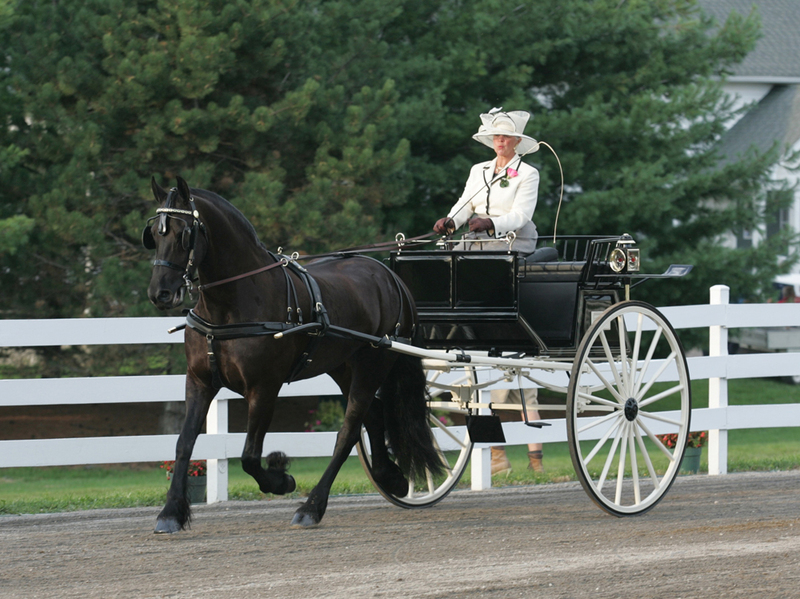 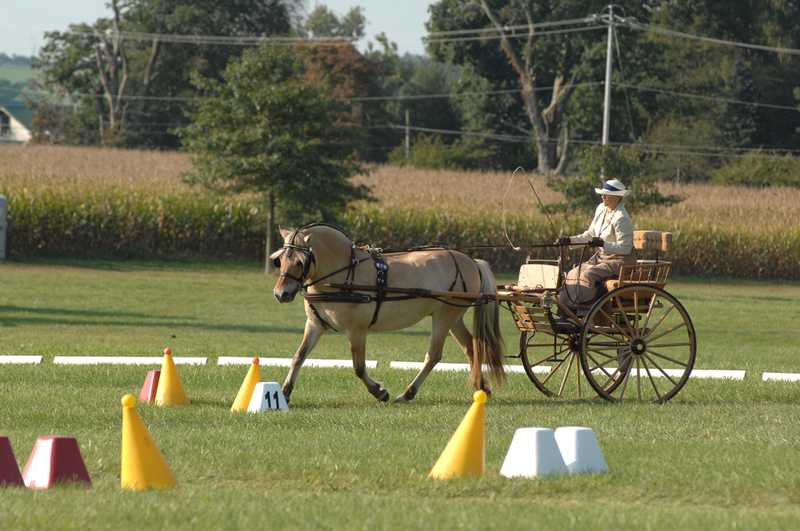 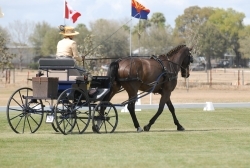 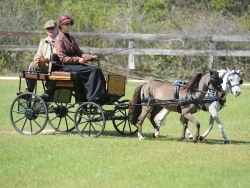 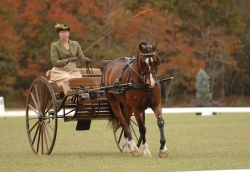 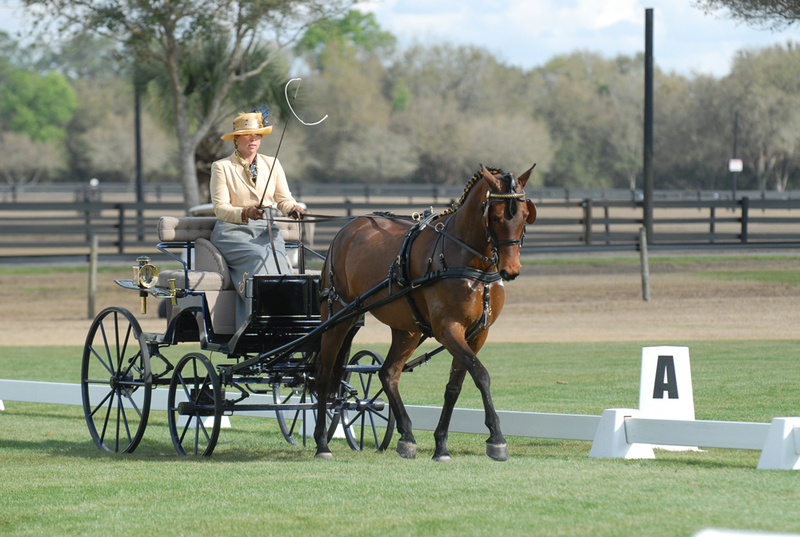 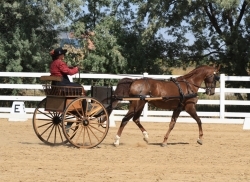 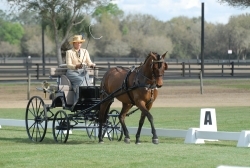 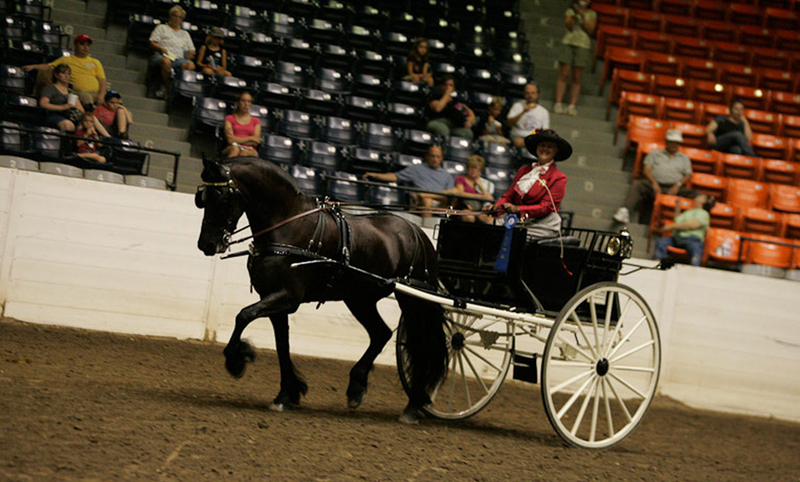 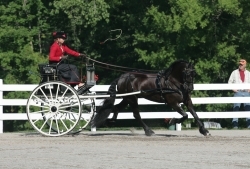 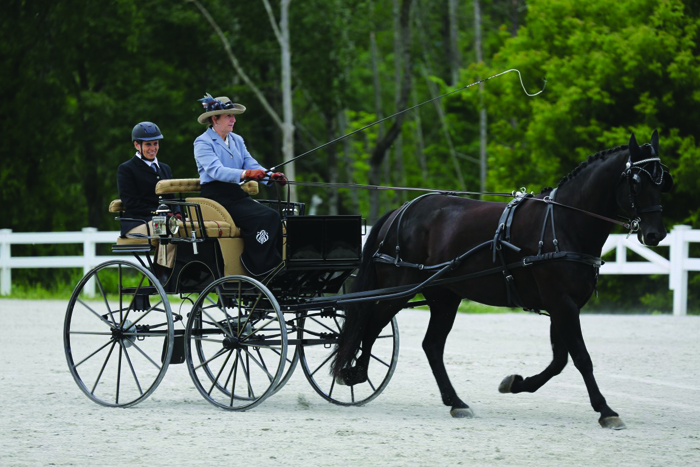 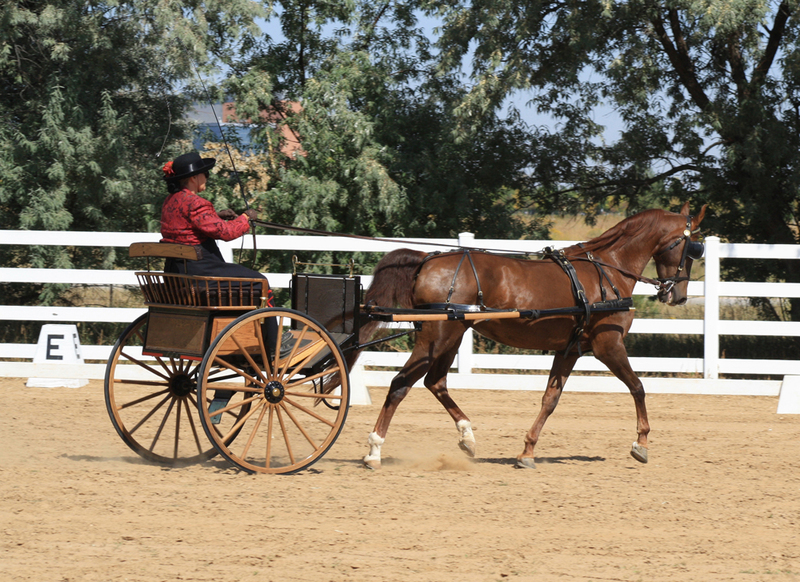 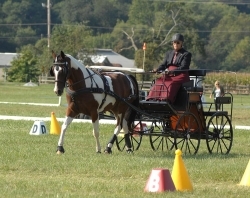 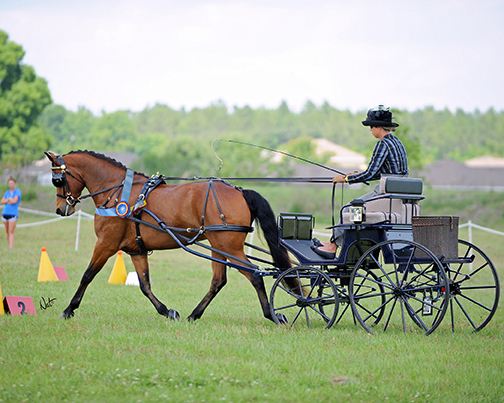 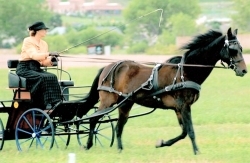 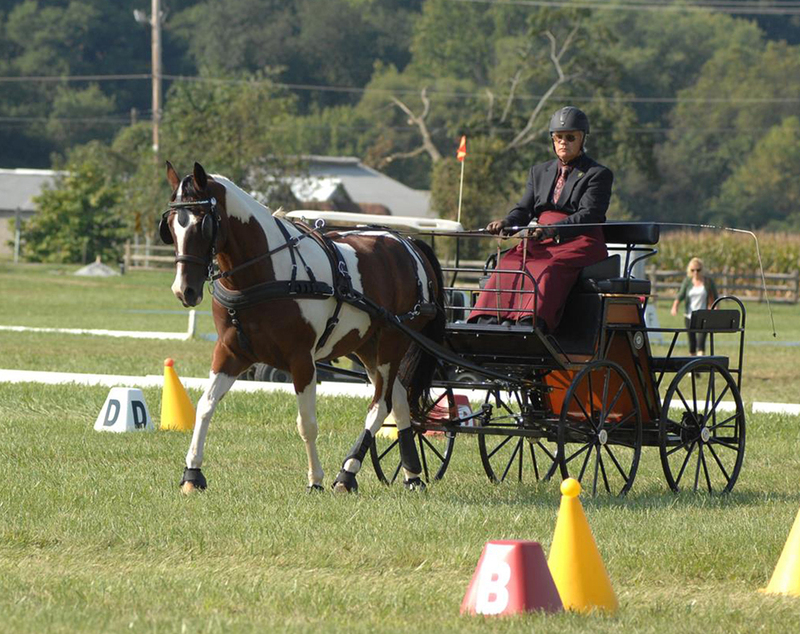 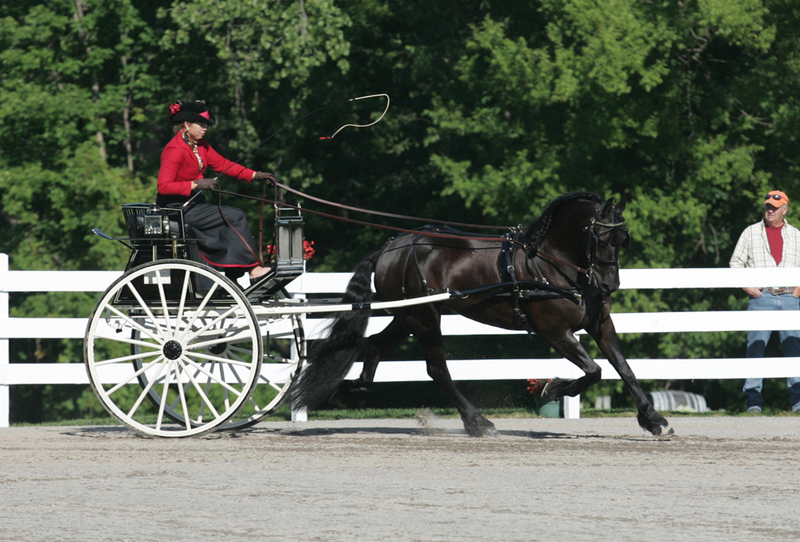 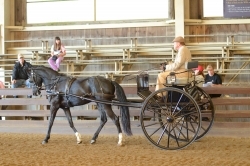 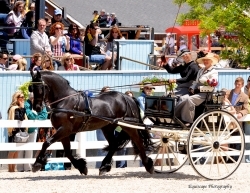 Pam Bond-Simmons drives her Bird-in-Hand Spindle Seat Eaglet in dressage at the Colorado Fall Follies CDE. 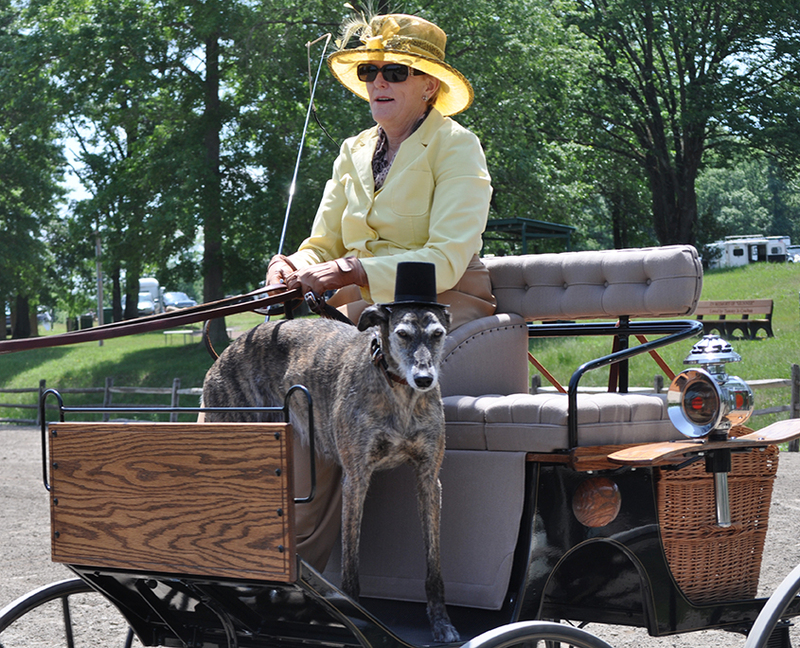 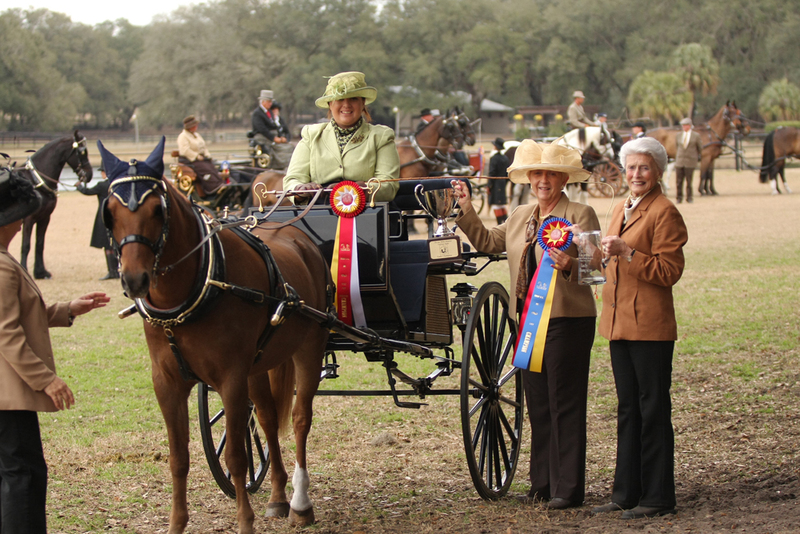 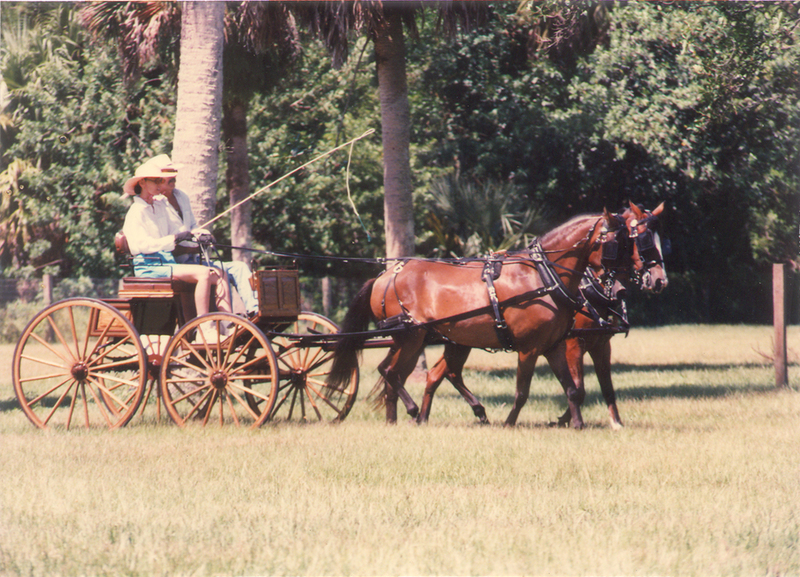 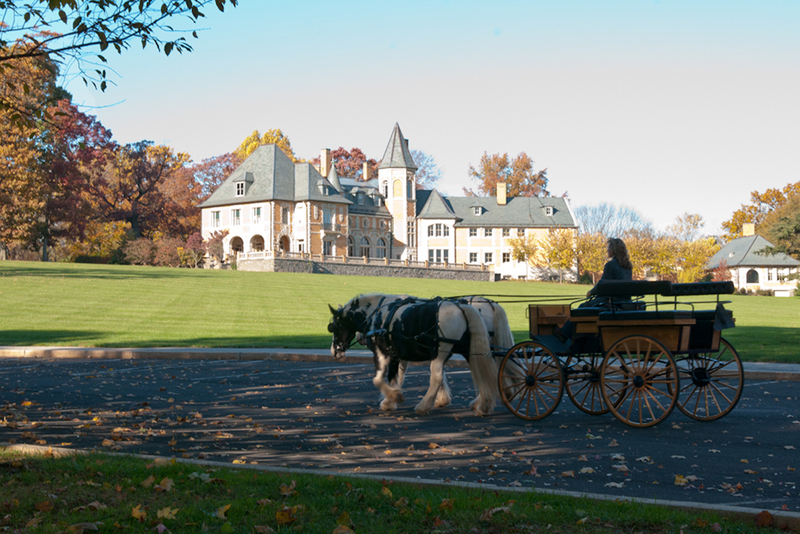 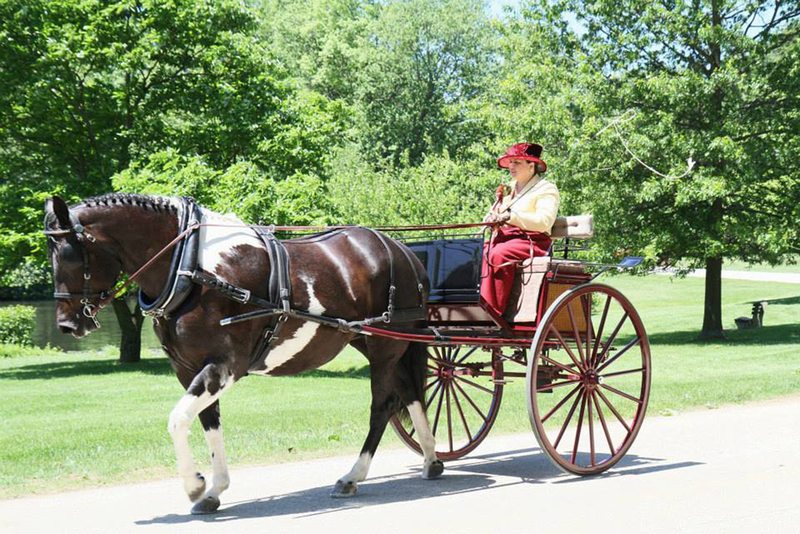 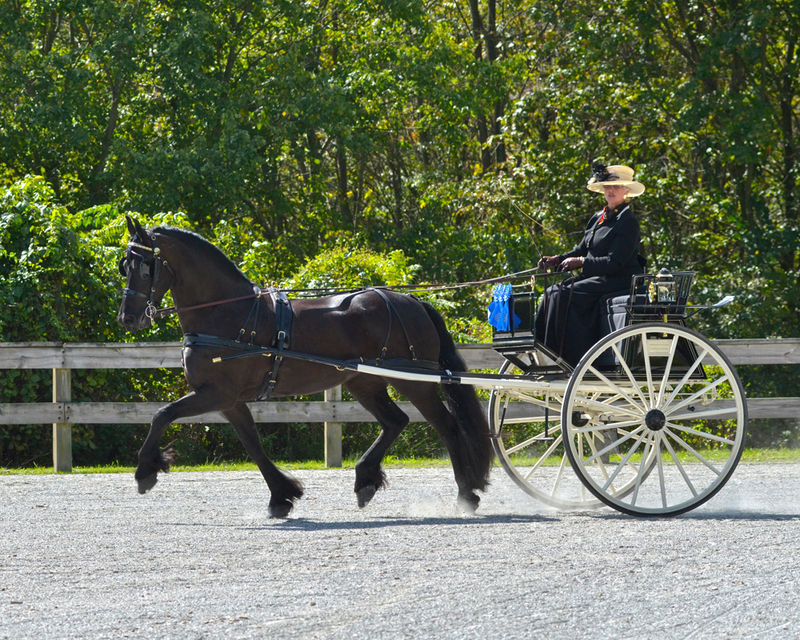 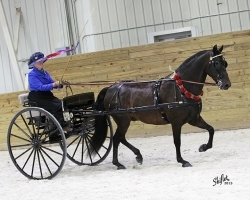 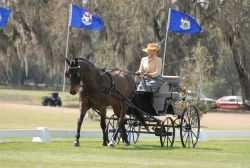 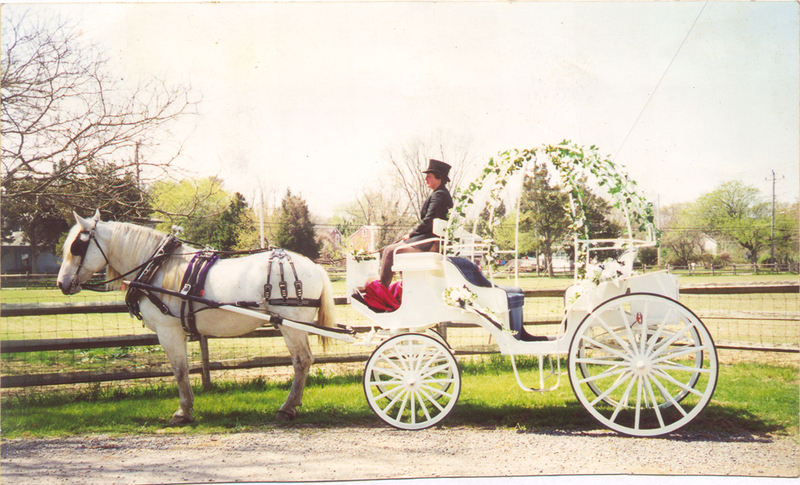 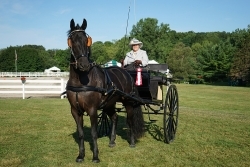 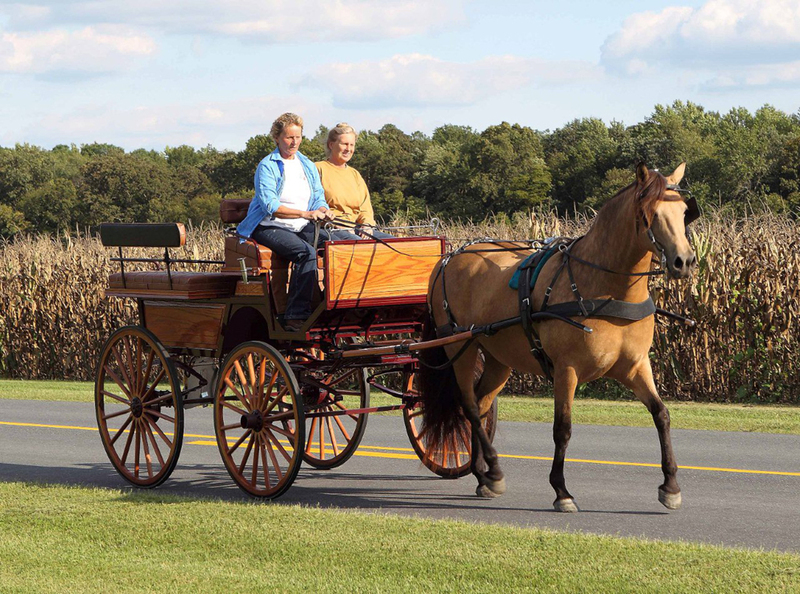 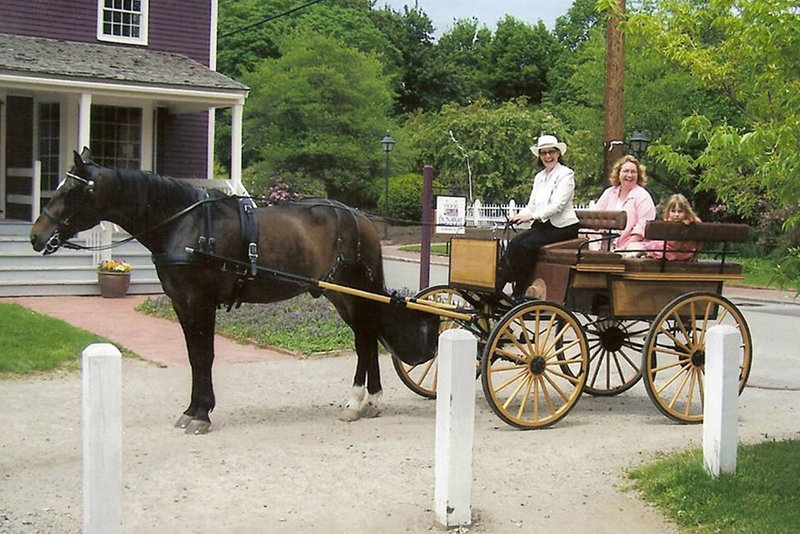 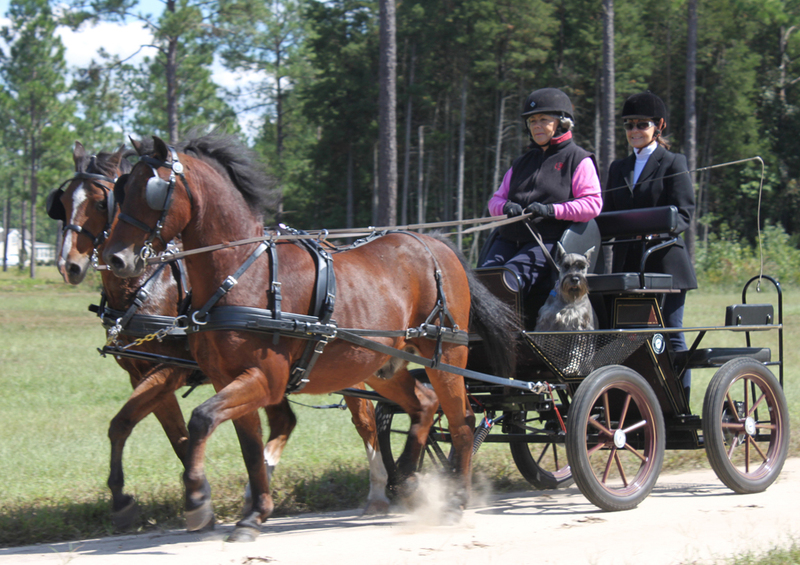 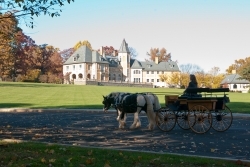 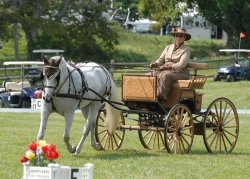 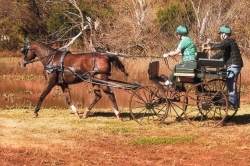 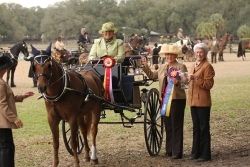 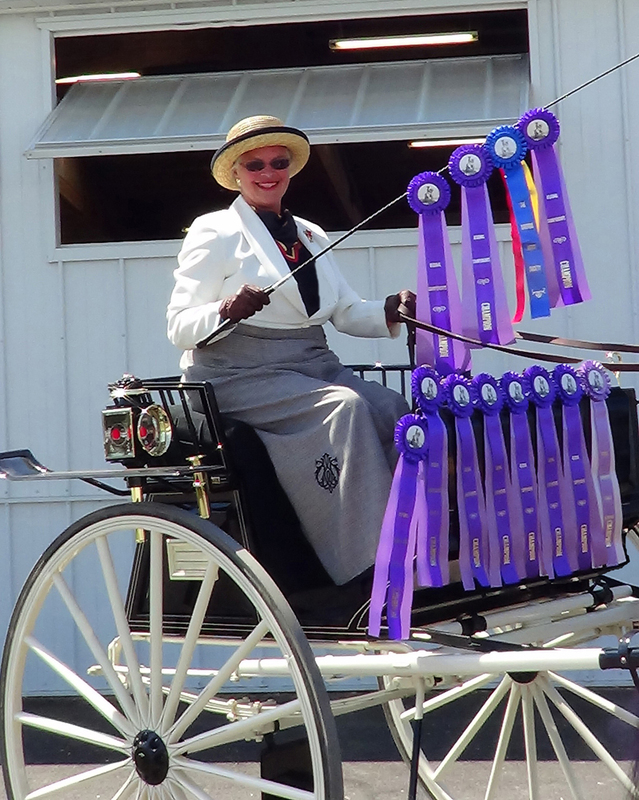 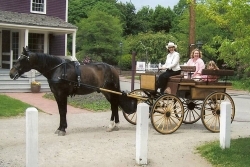 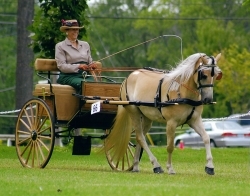 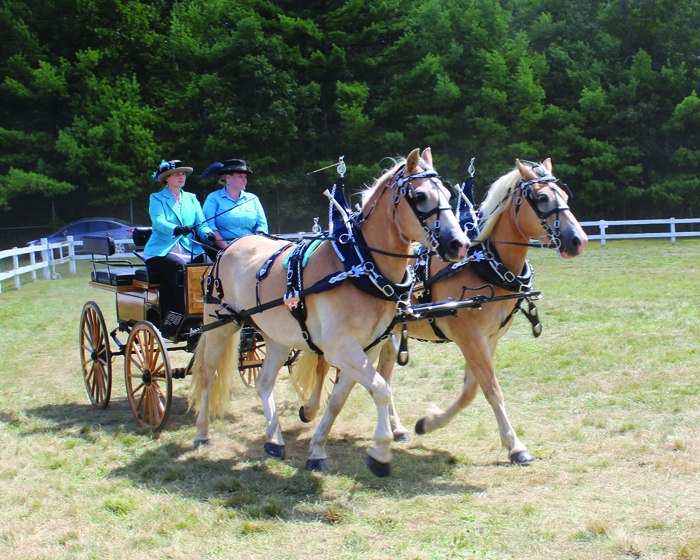 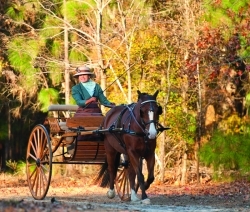 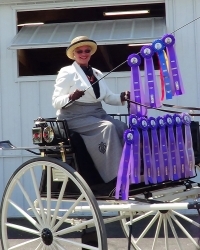 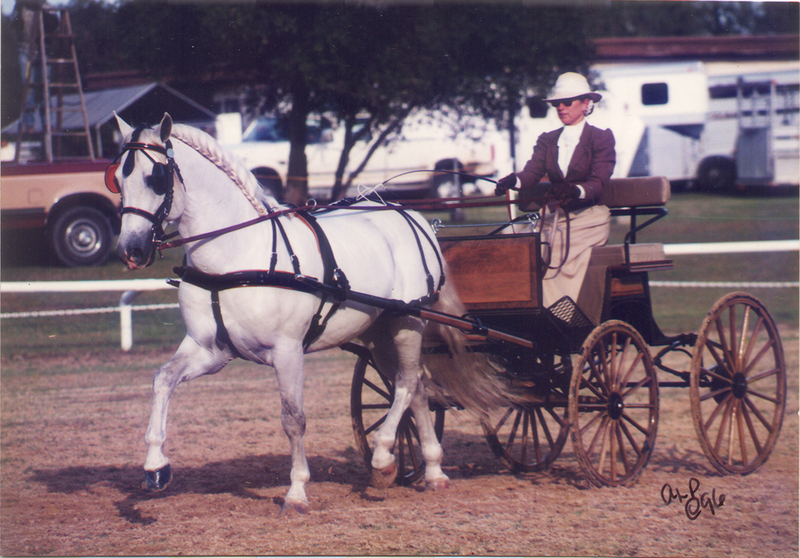 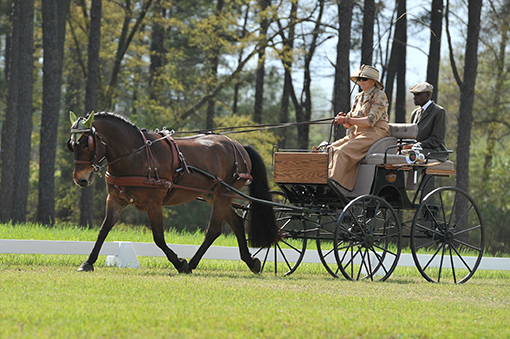 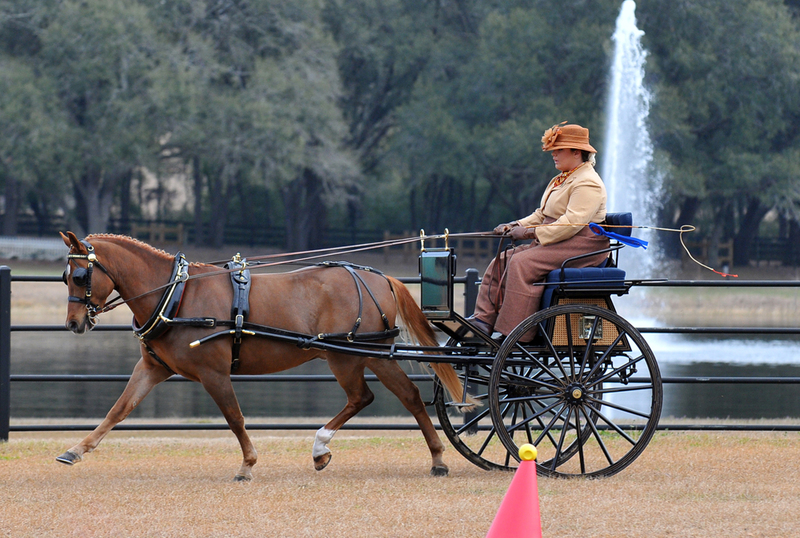 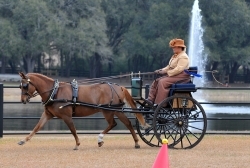 Kathy Beeson drives her beautiful Bird-in-Hand Flyer. 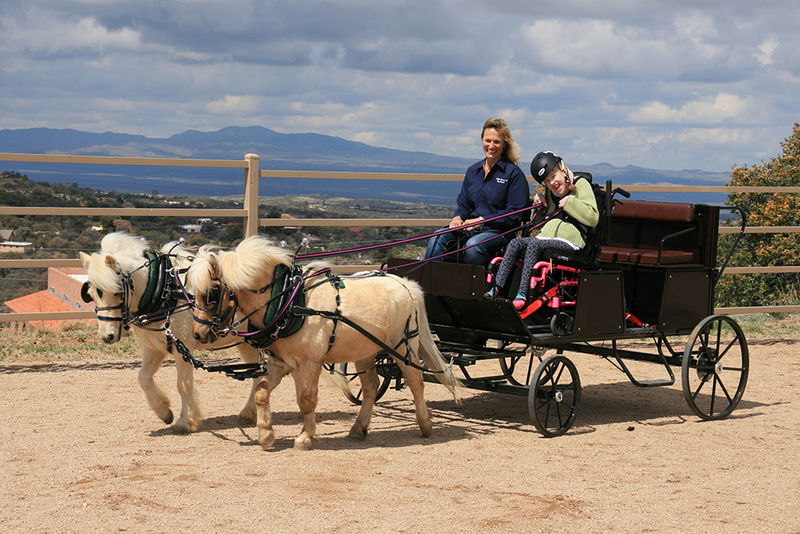 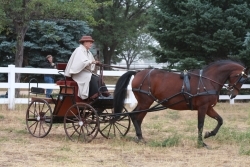 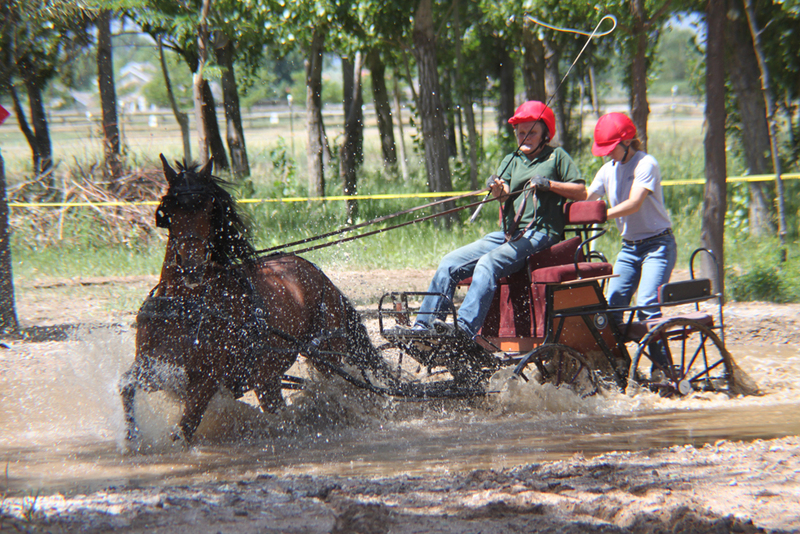 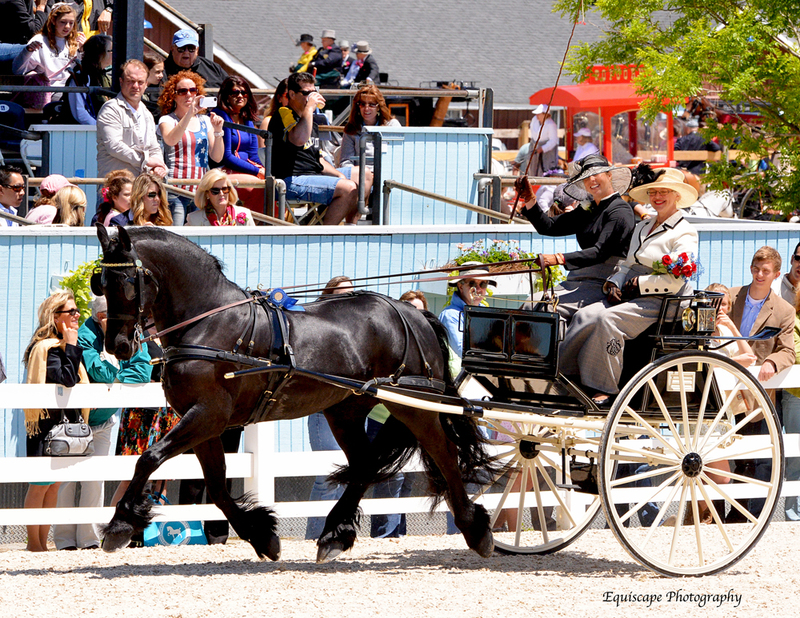 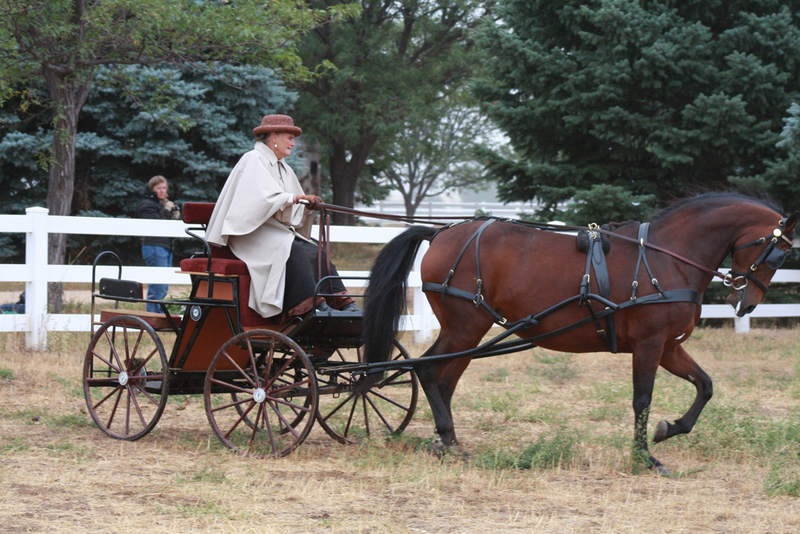 Claudia Wilson (Arvada, Colorado) drives her Pony Size Bird-in-Hand Red Hawk for the first time! 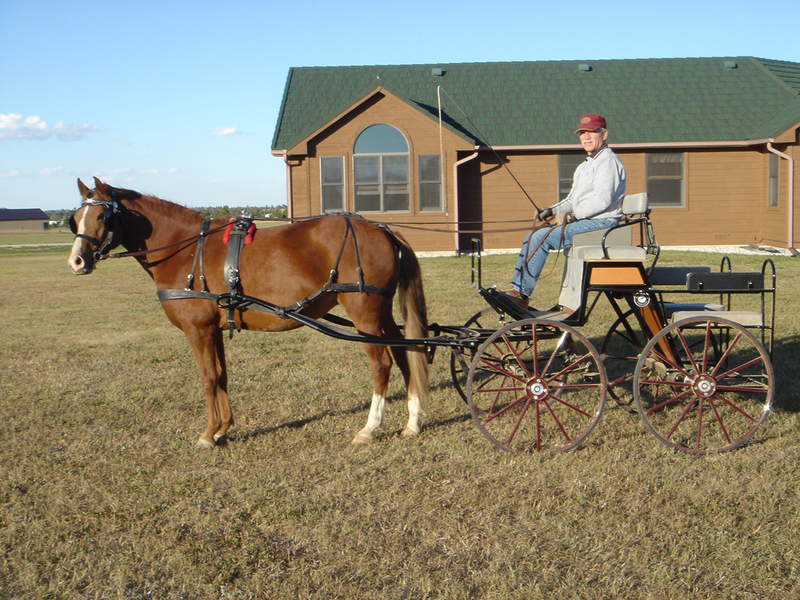 Al Senzamici (Peyton, Colorado) & his Bird-in-Hand Red Hawk are the talk of the neighborhood as they drive around! 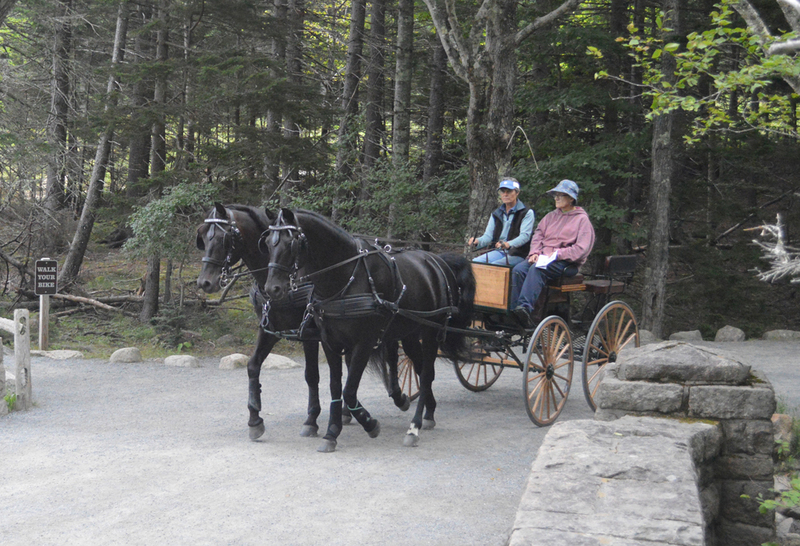 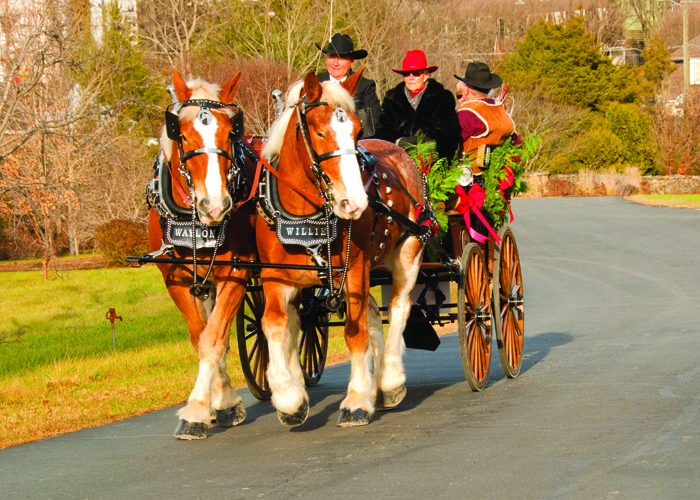 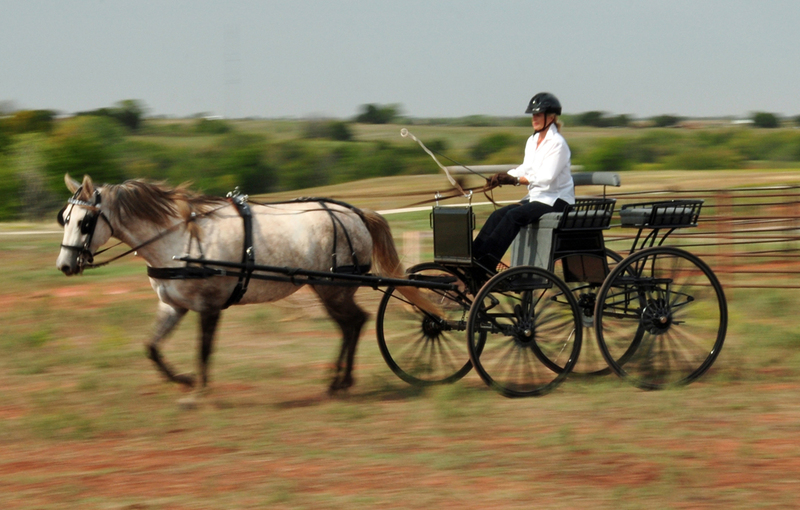 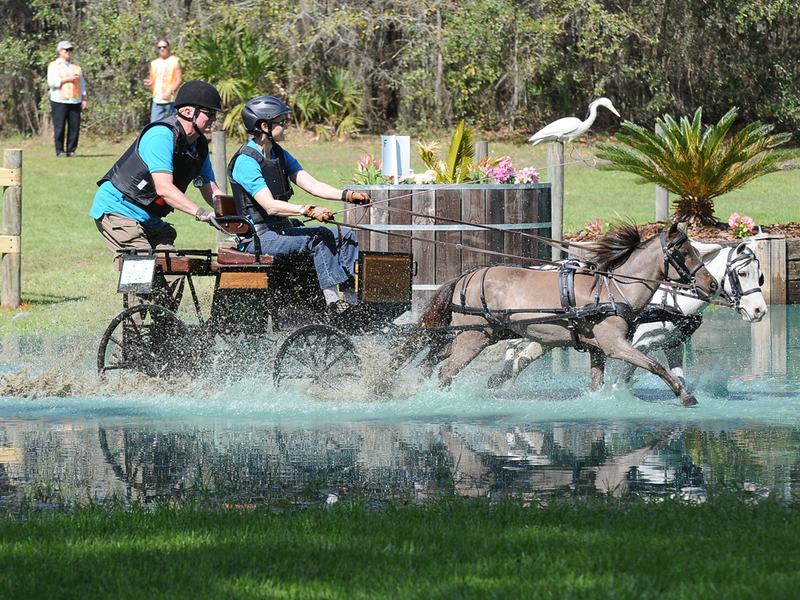 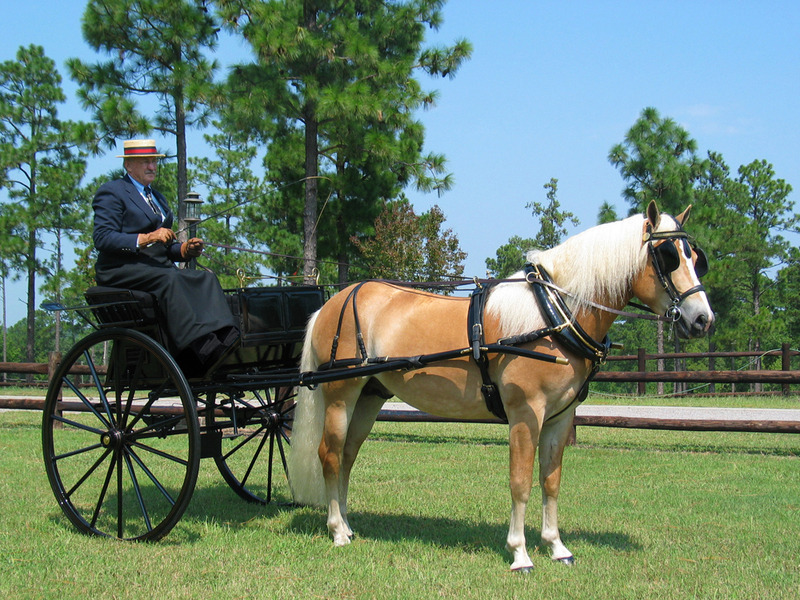 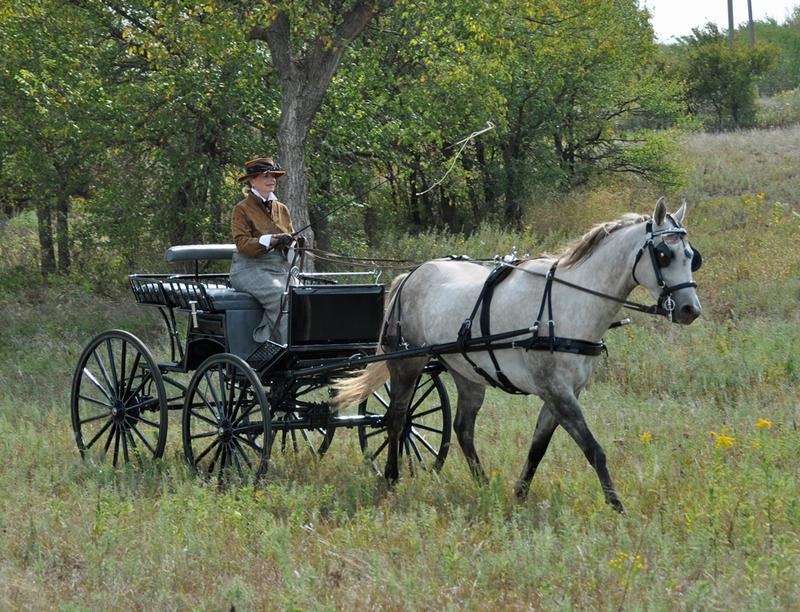 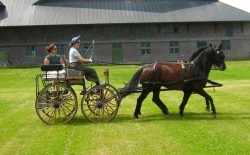 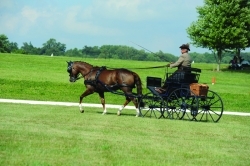 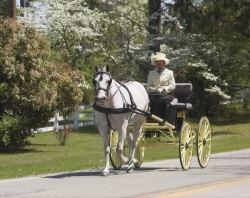 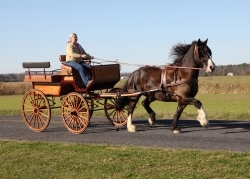 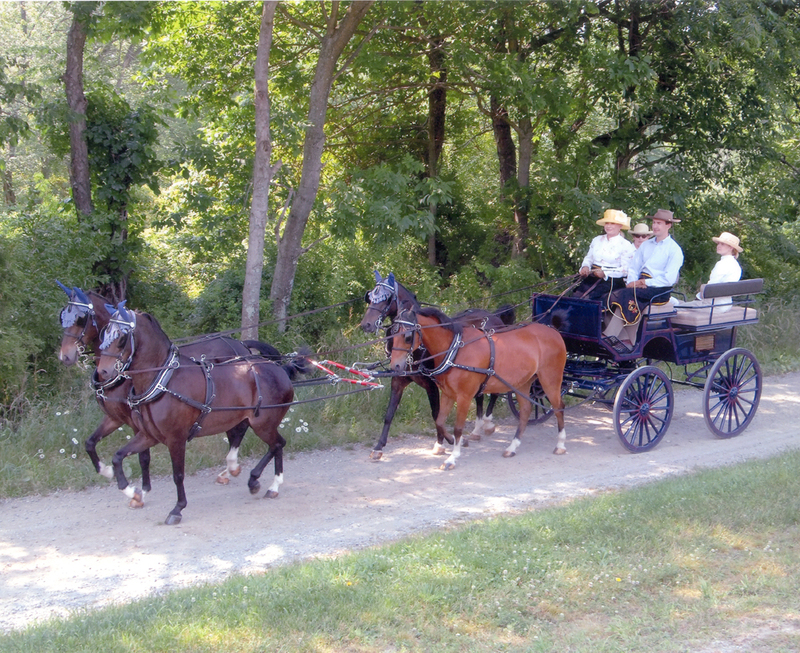 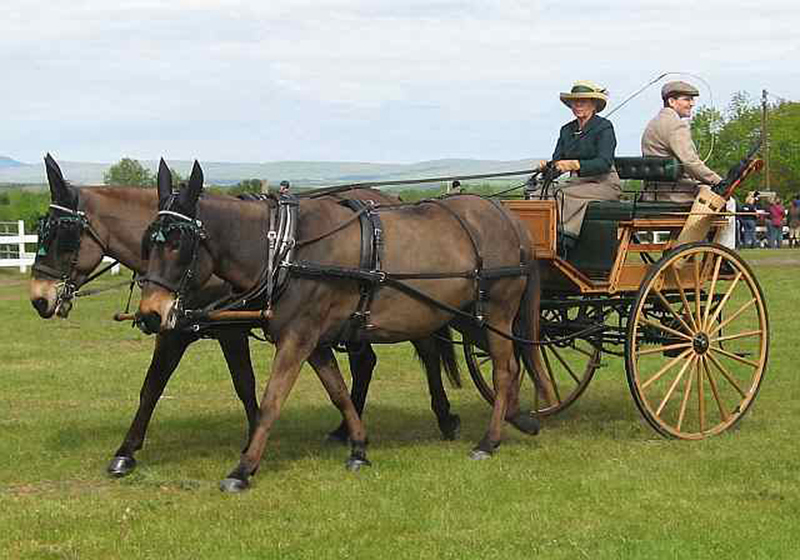 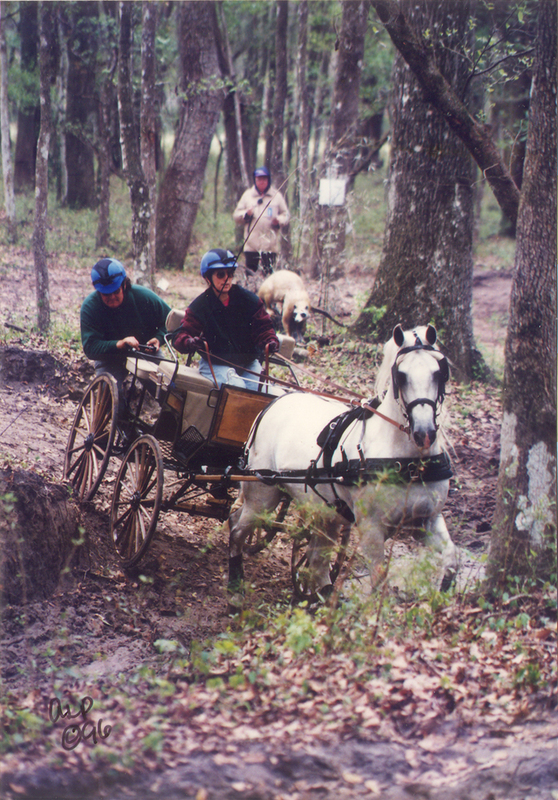 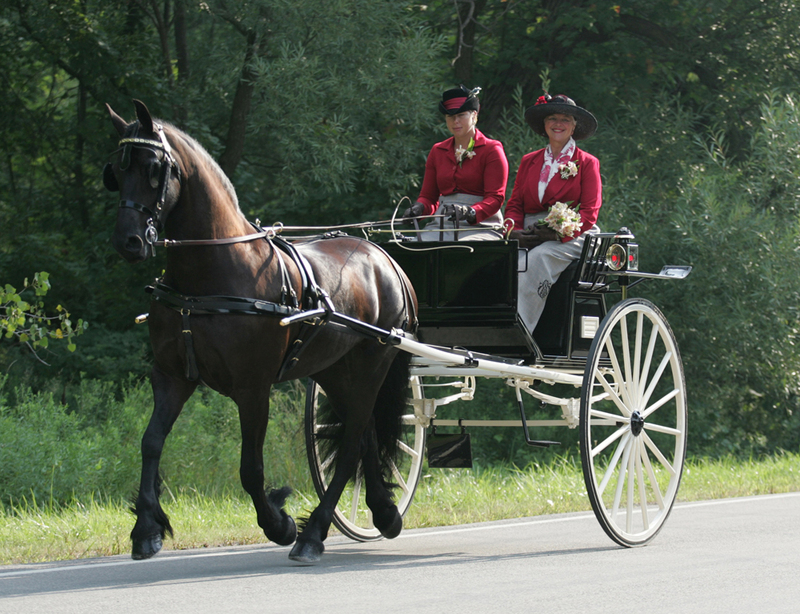 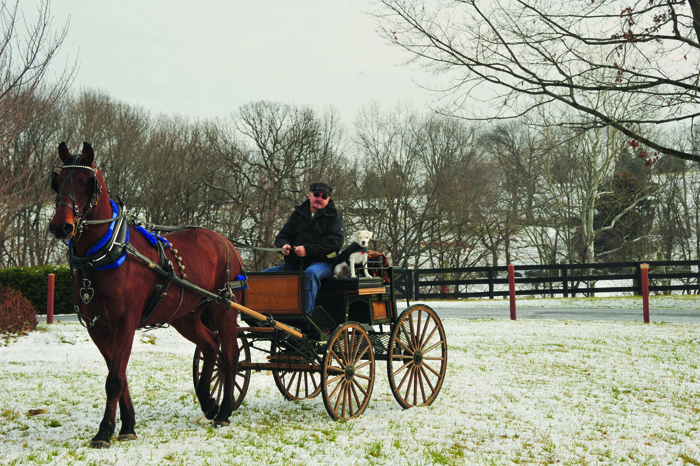 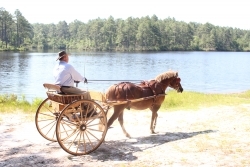 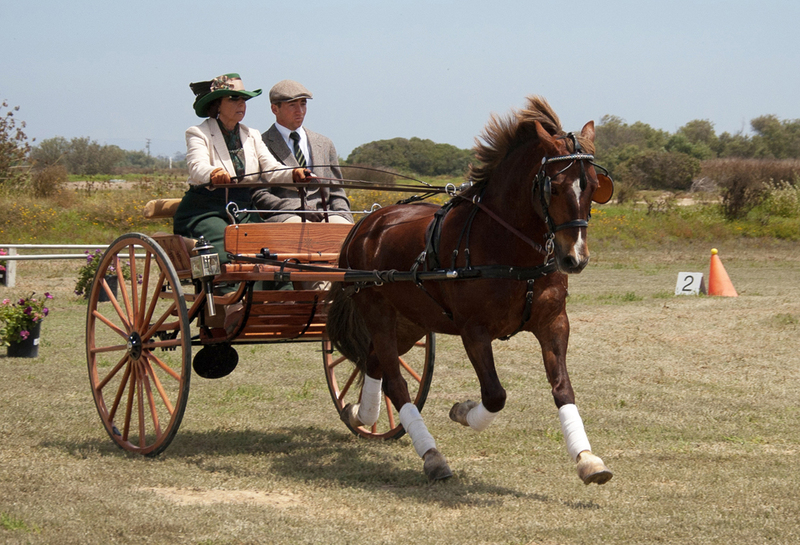 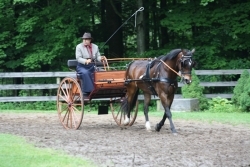 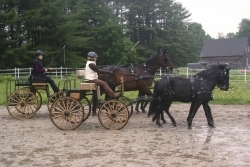 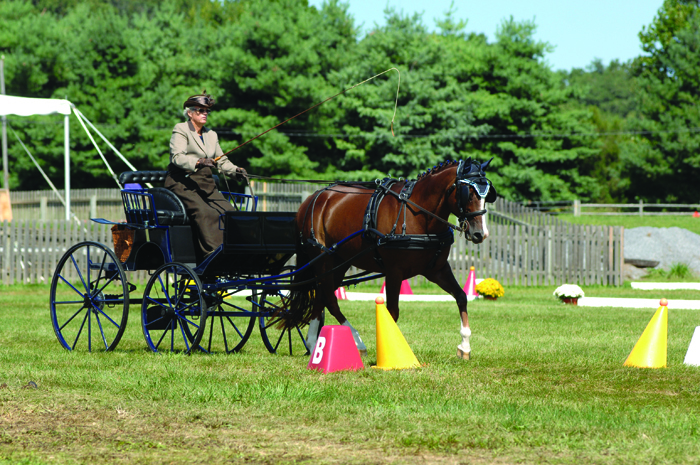 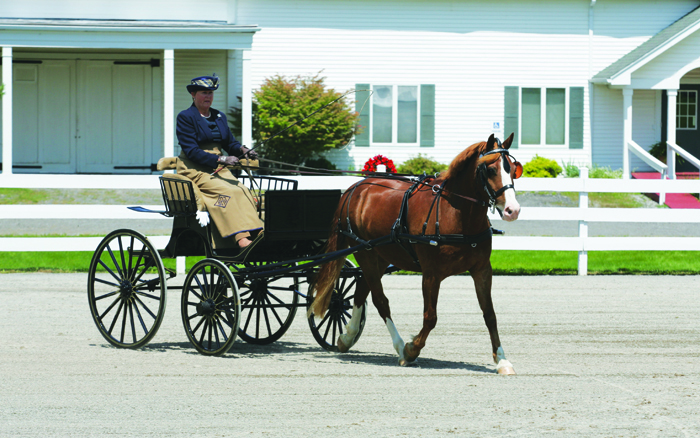 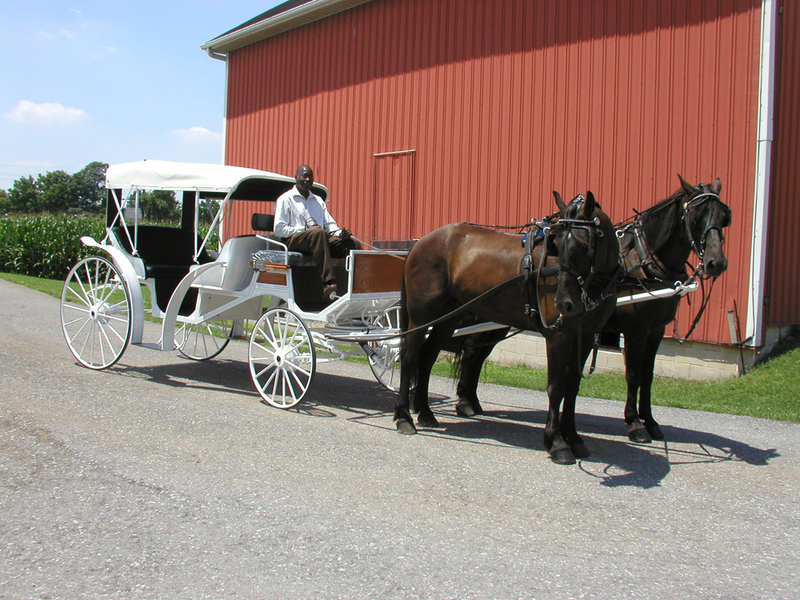 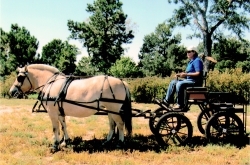 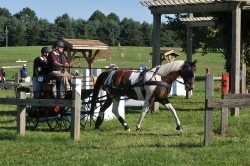 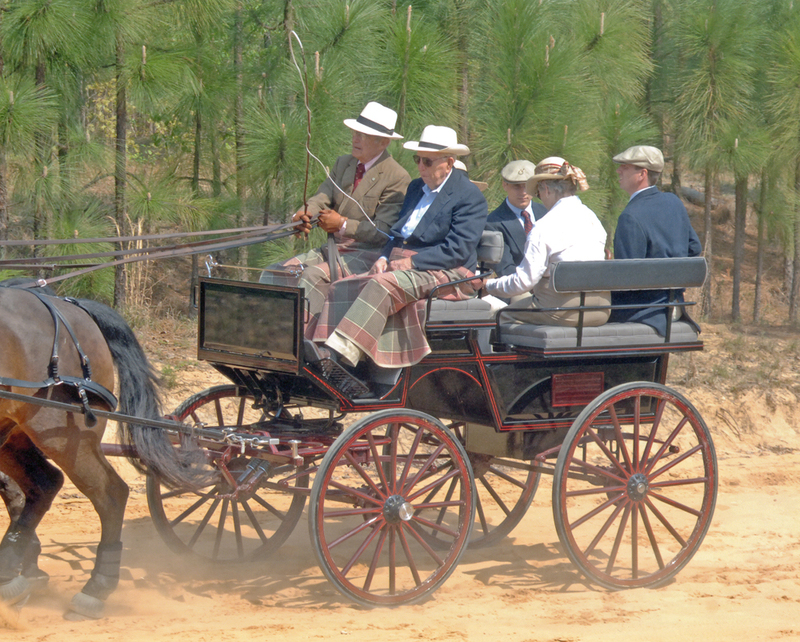 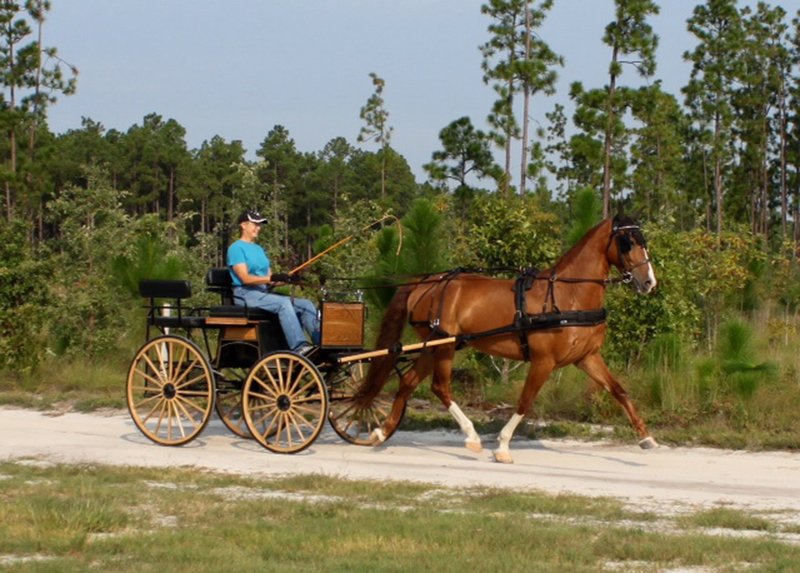 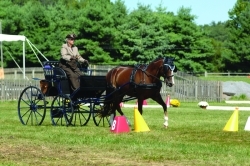 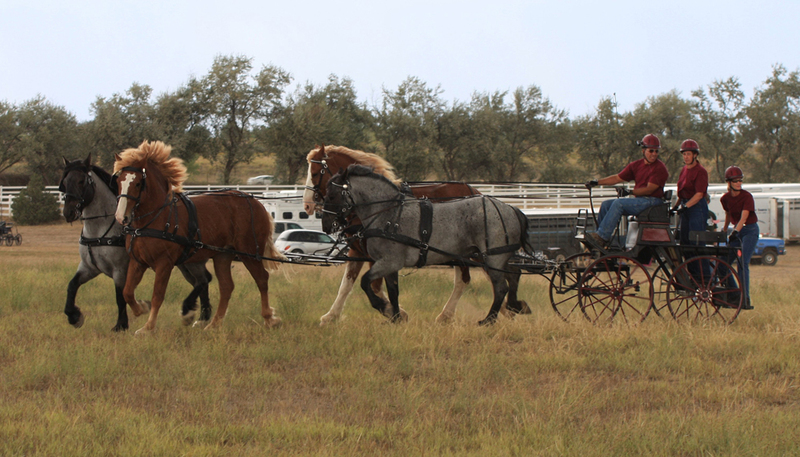 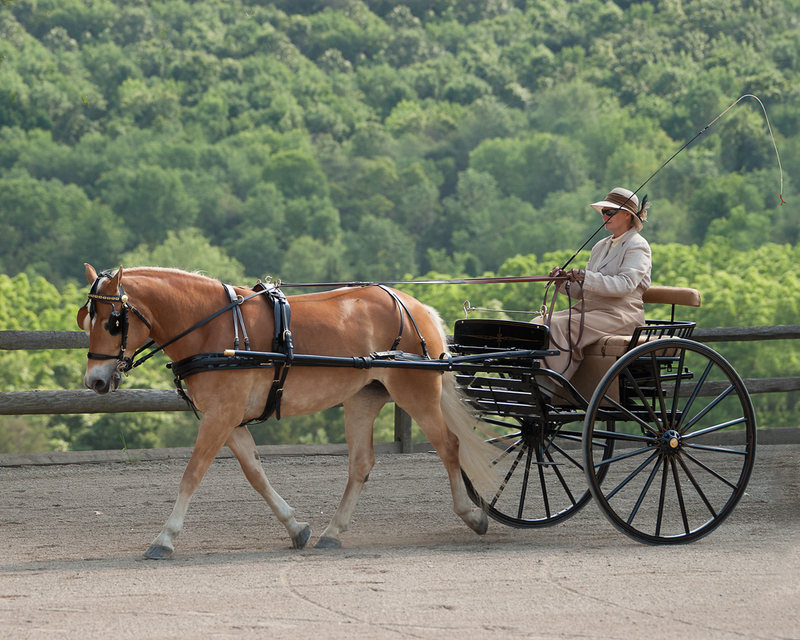 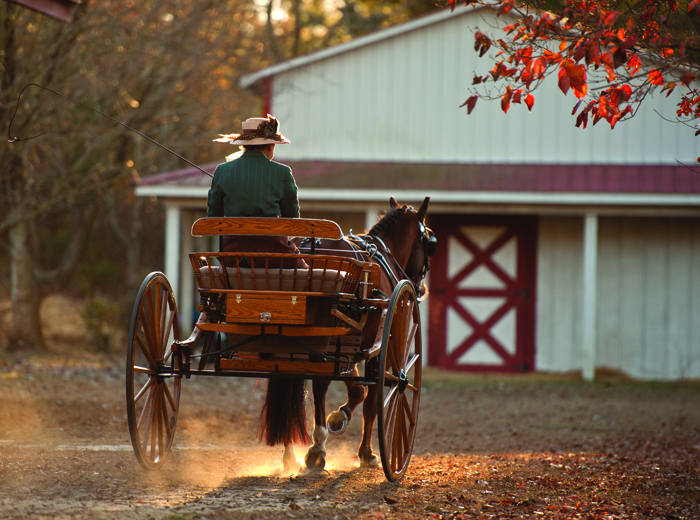 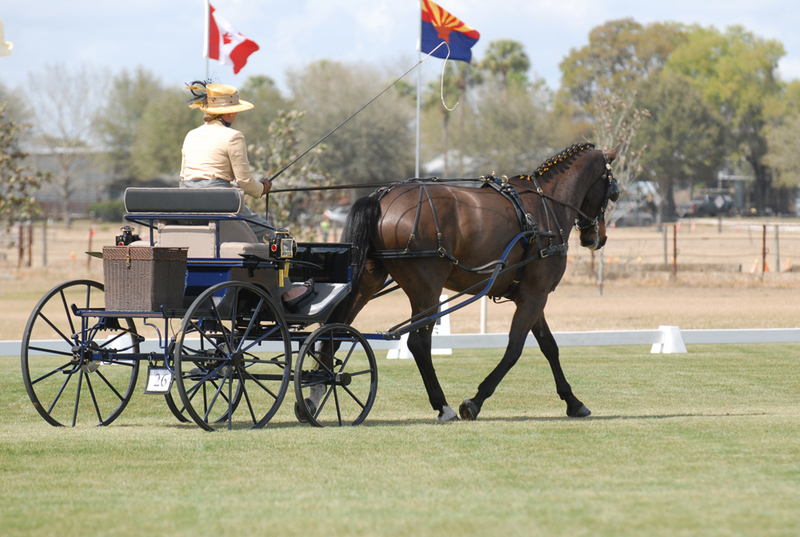 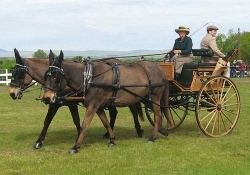 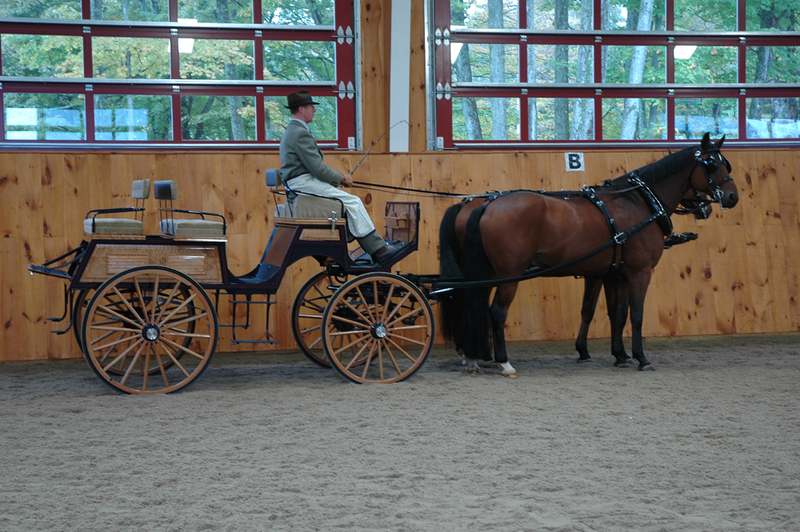 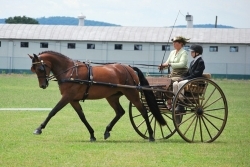 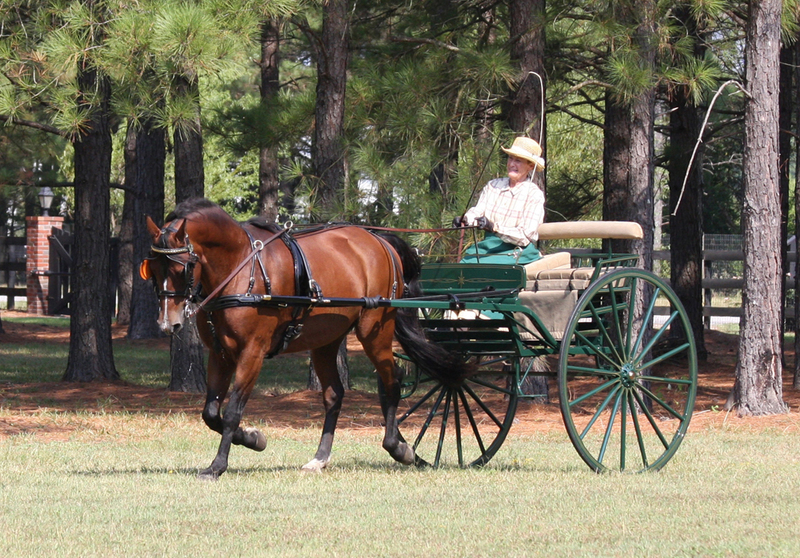 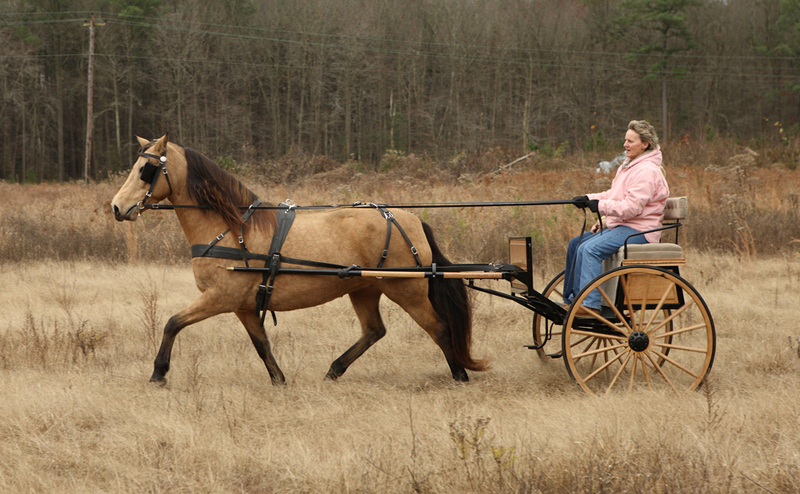 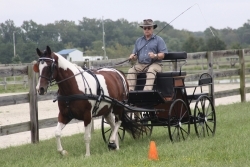 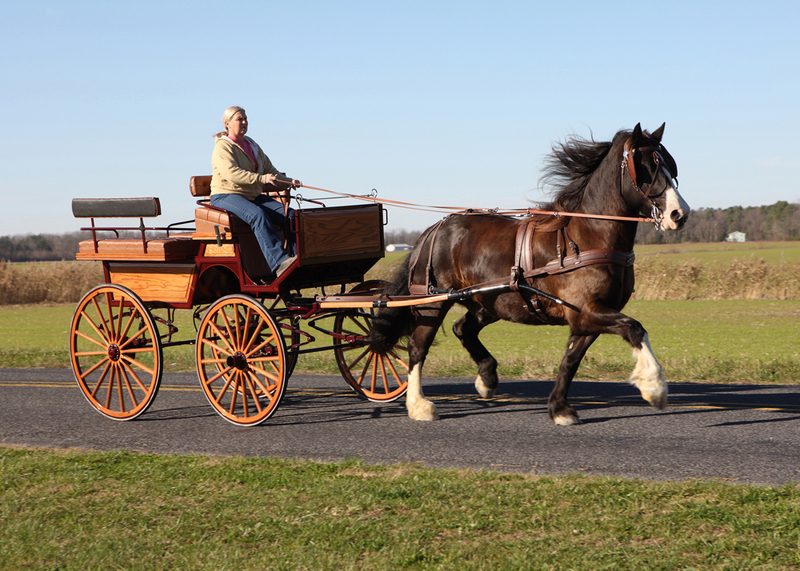 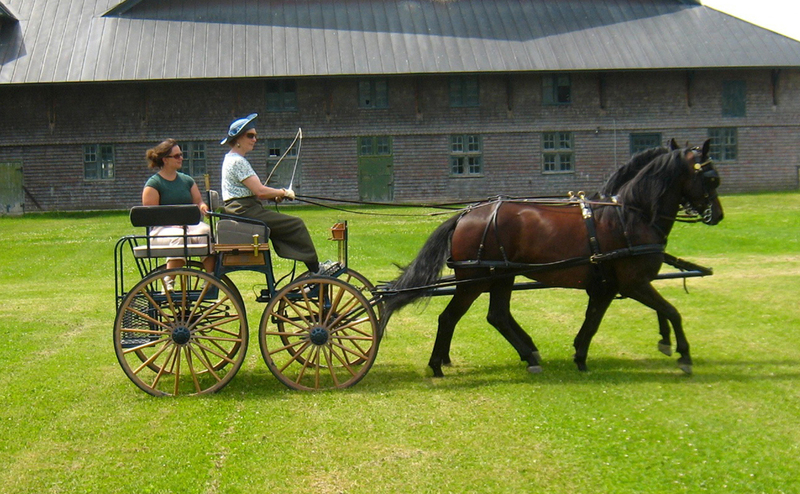 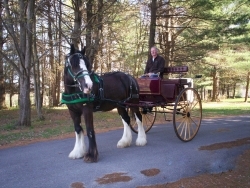 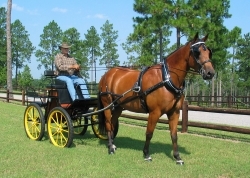 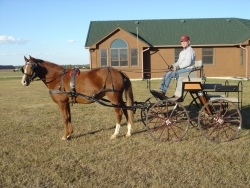 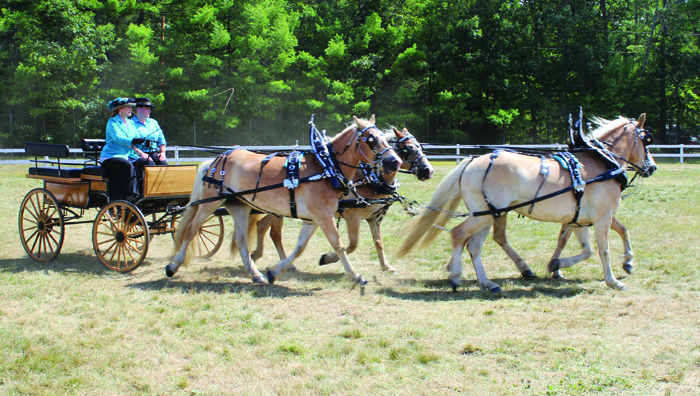 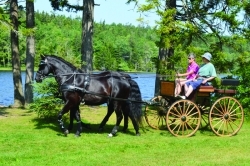 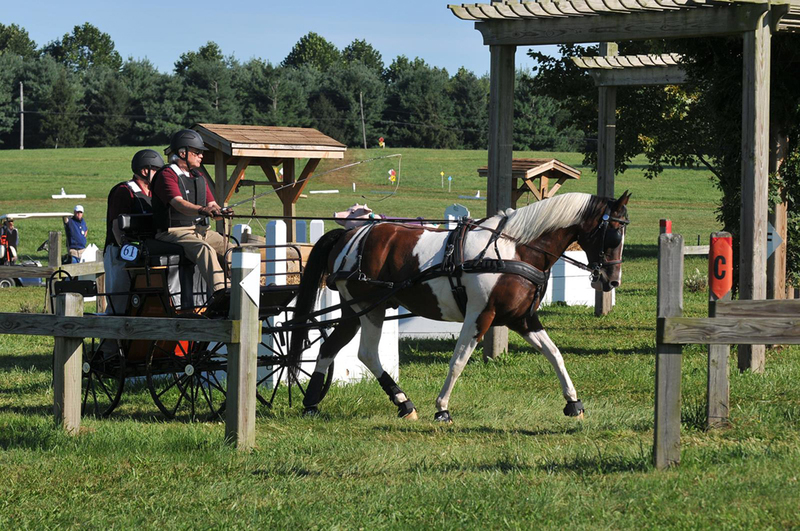 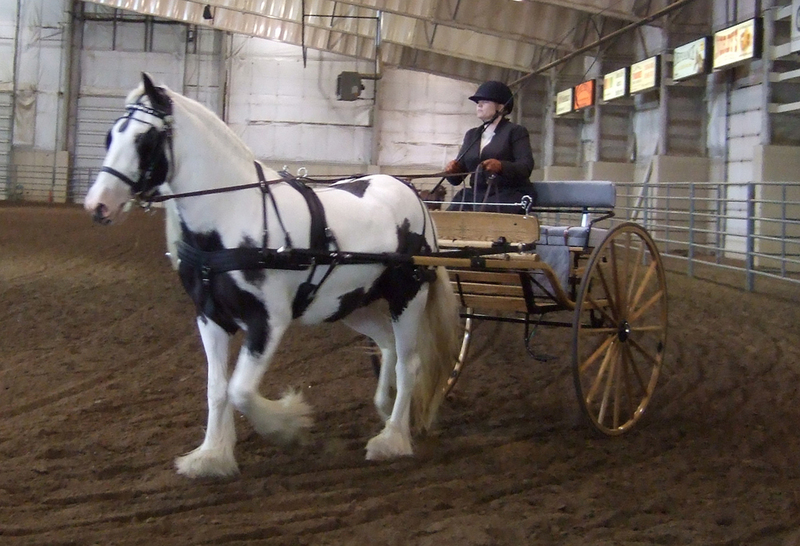 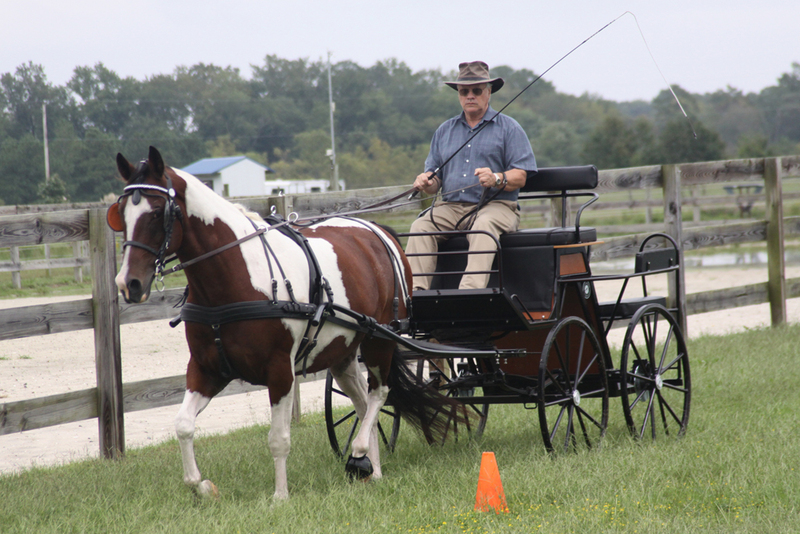 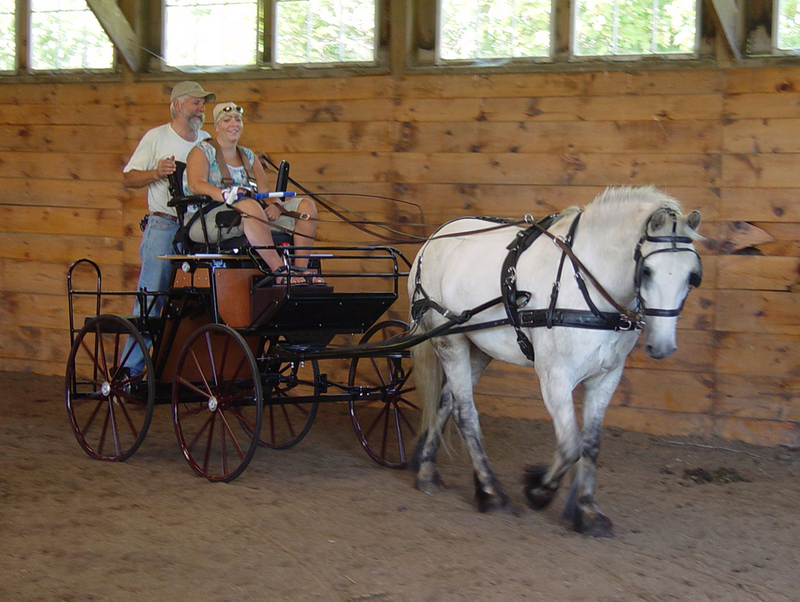 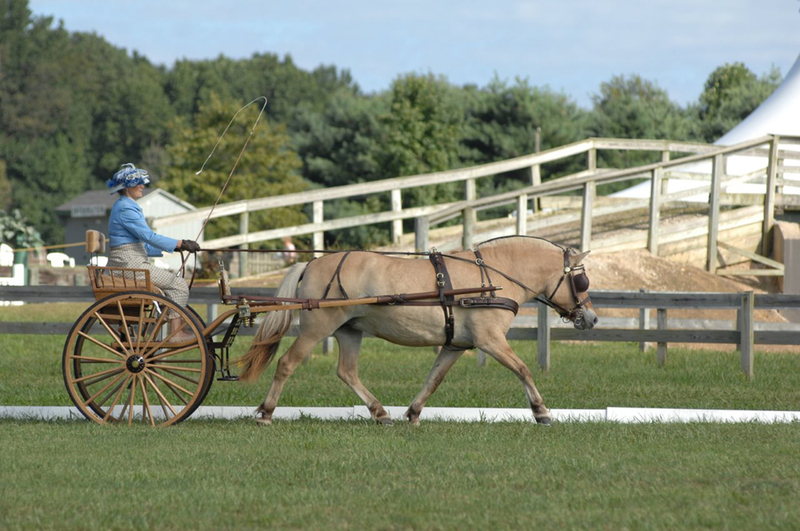 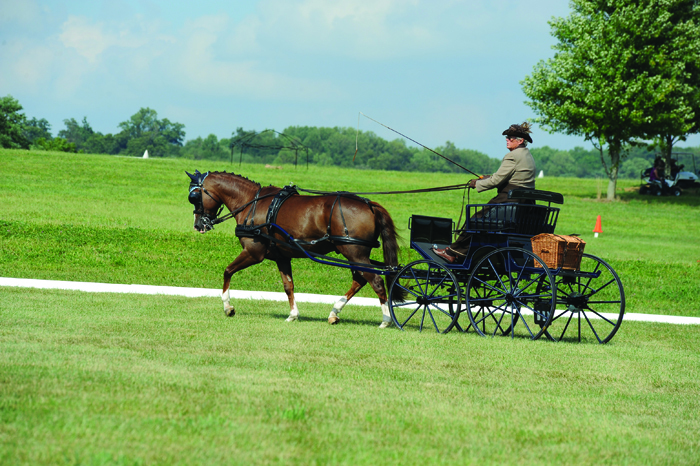 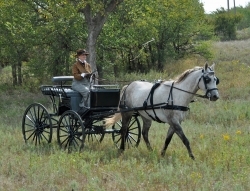 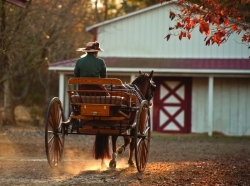 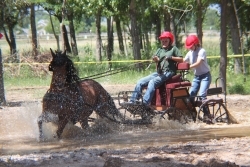 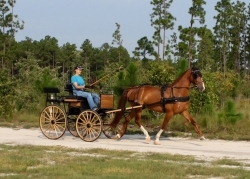 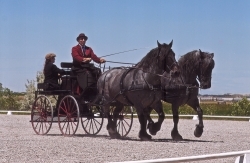 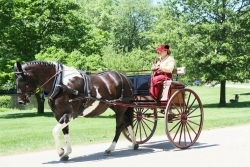 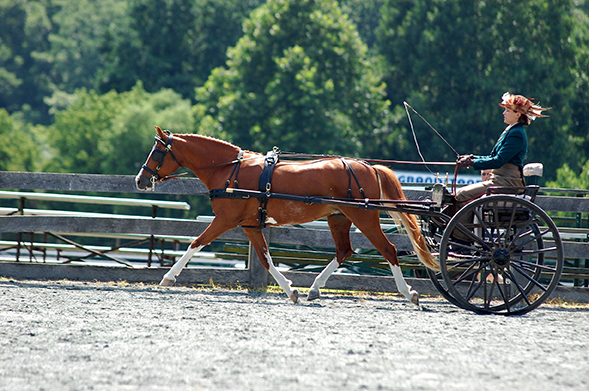 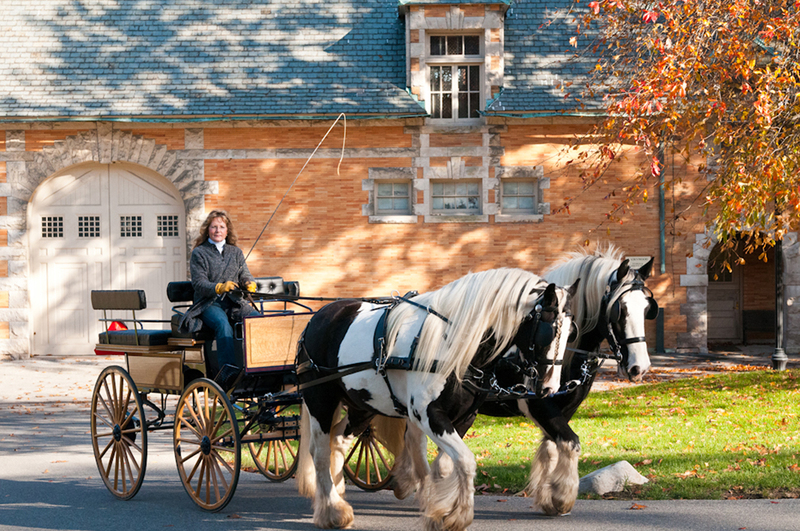 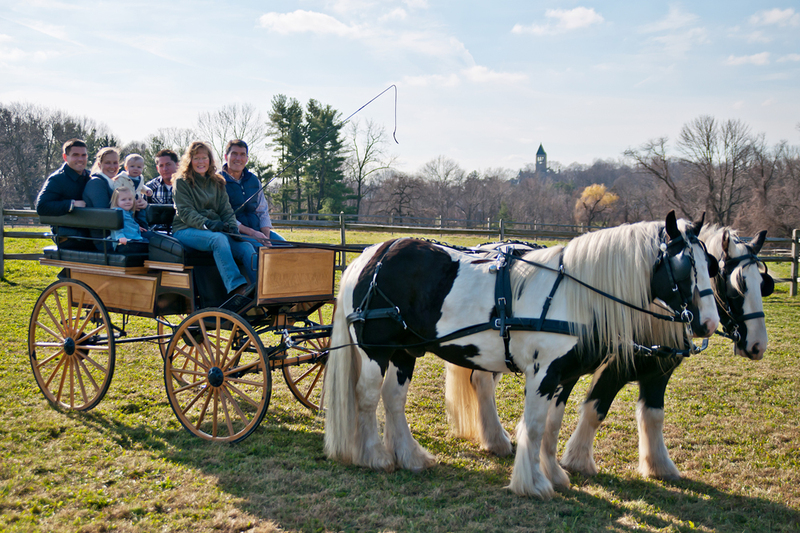 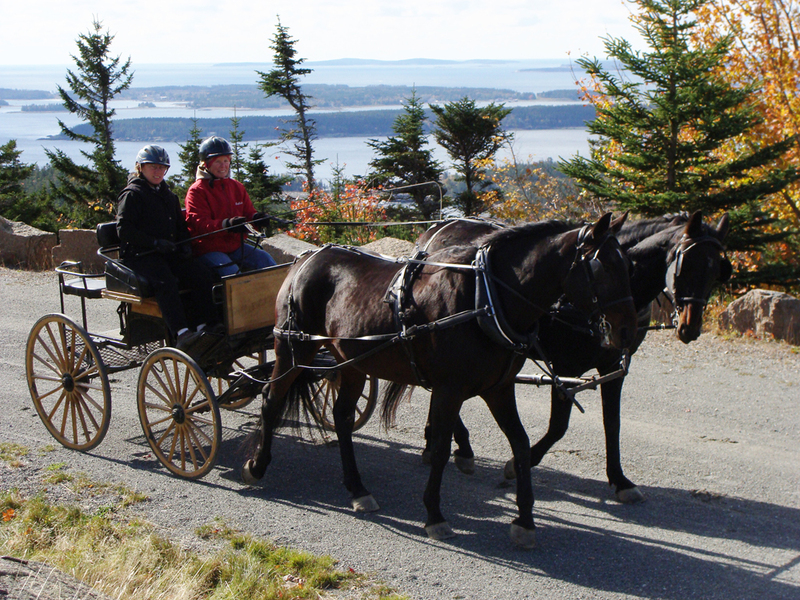 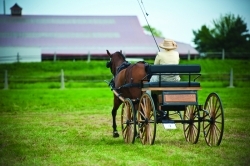 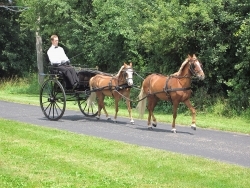 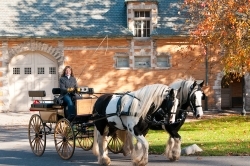 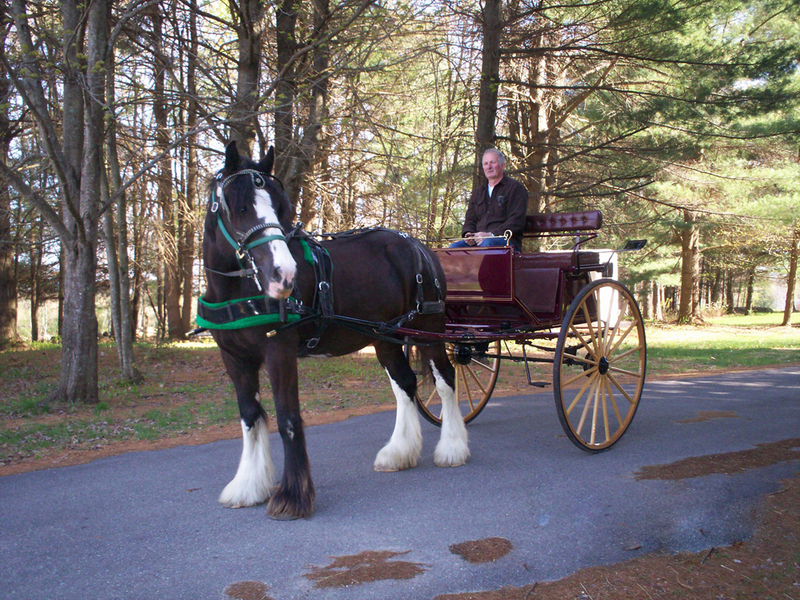 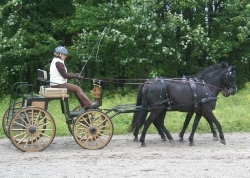 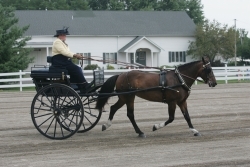 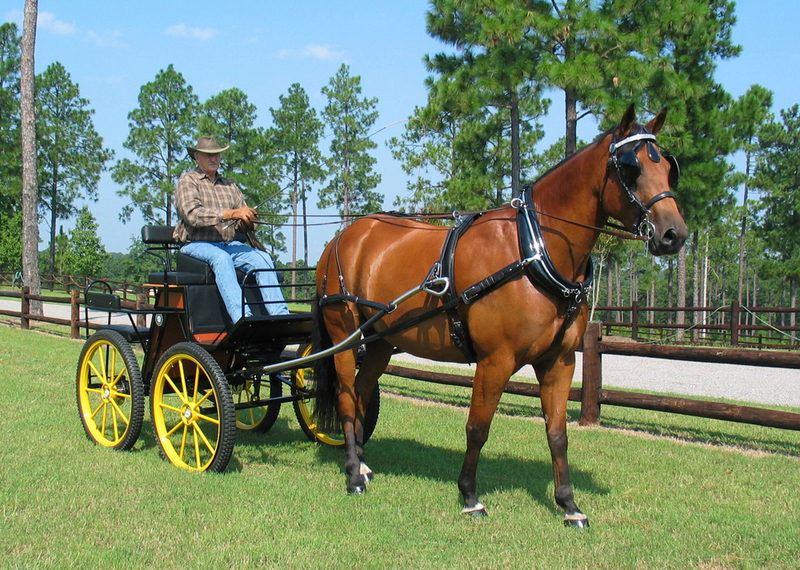 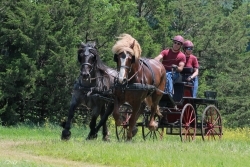 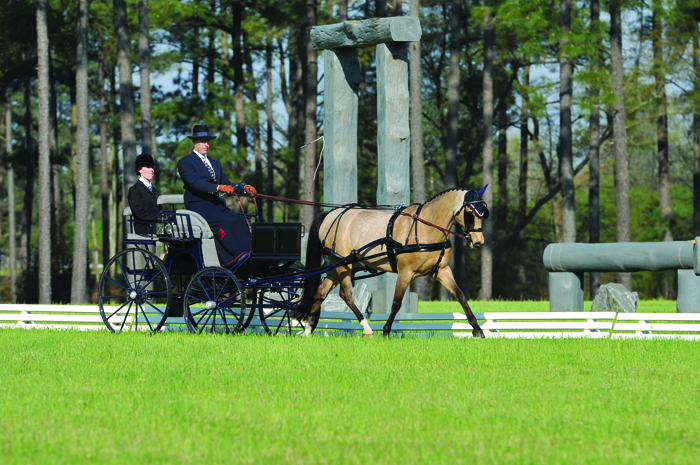 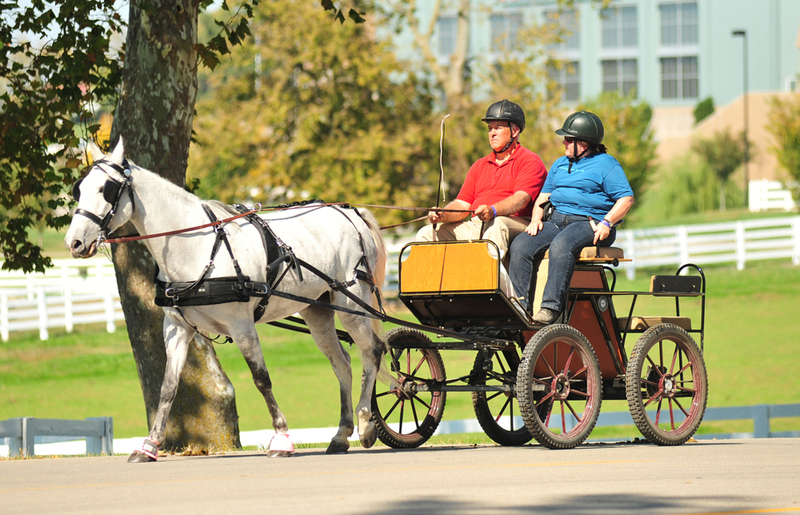 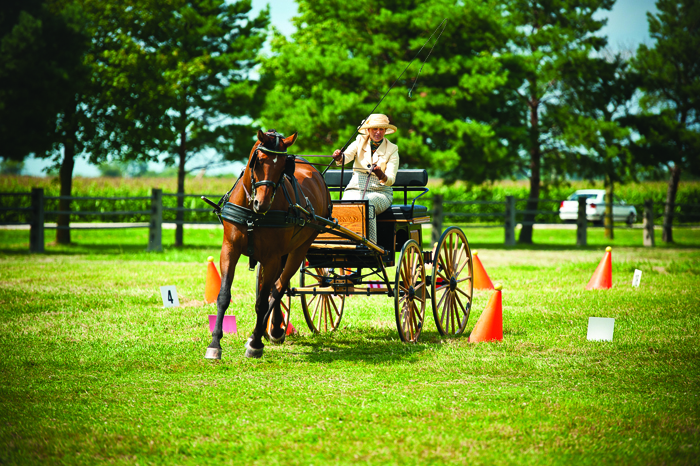 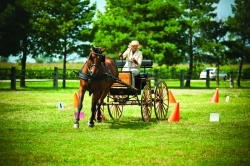 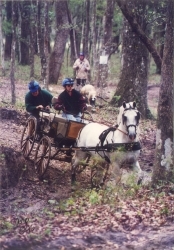 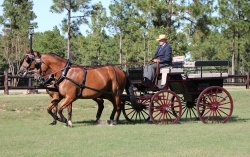 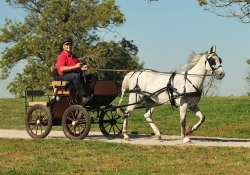 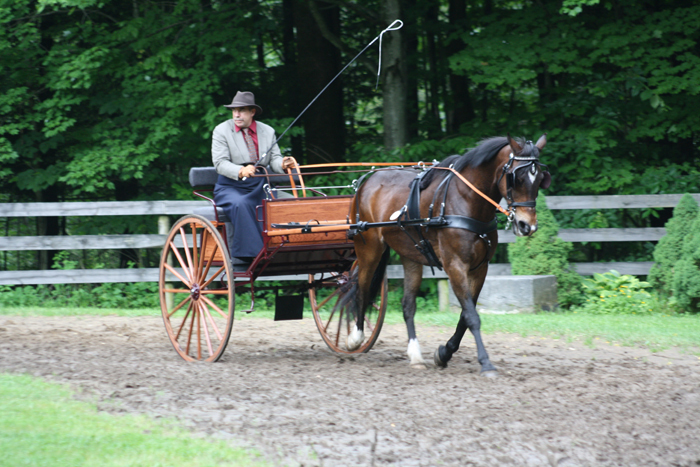 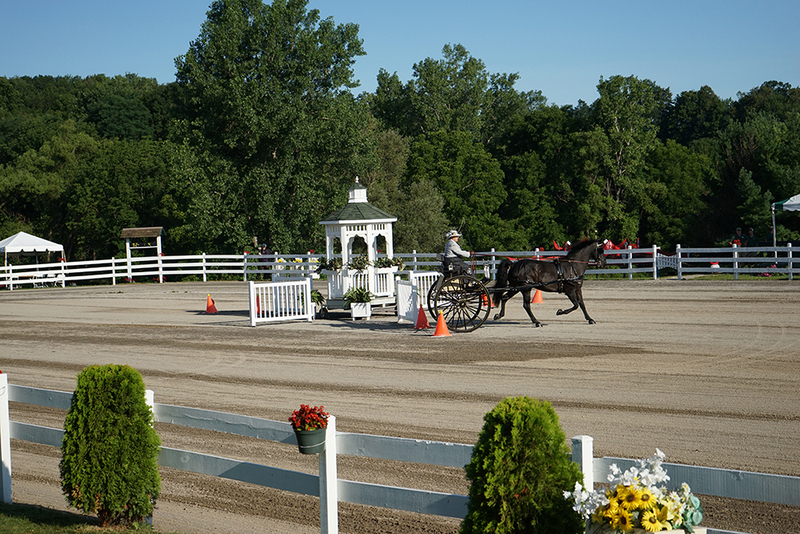 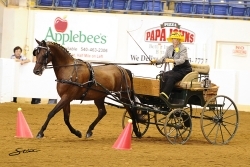 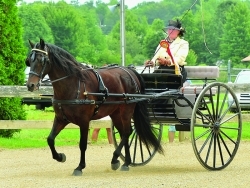 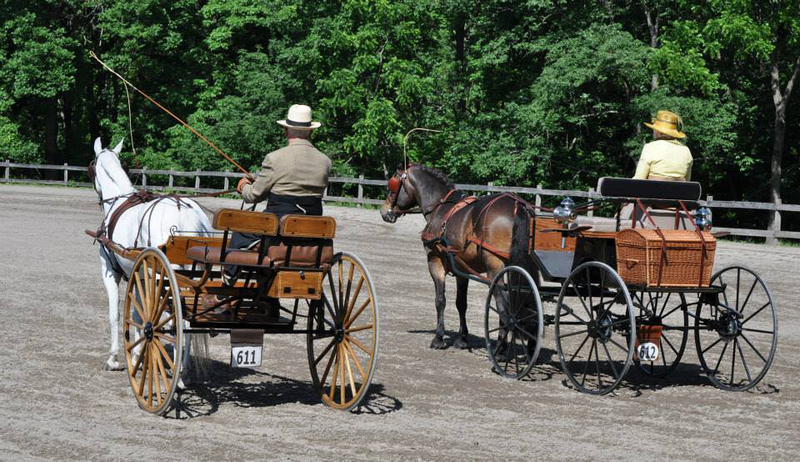 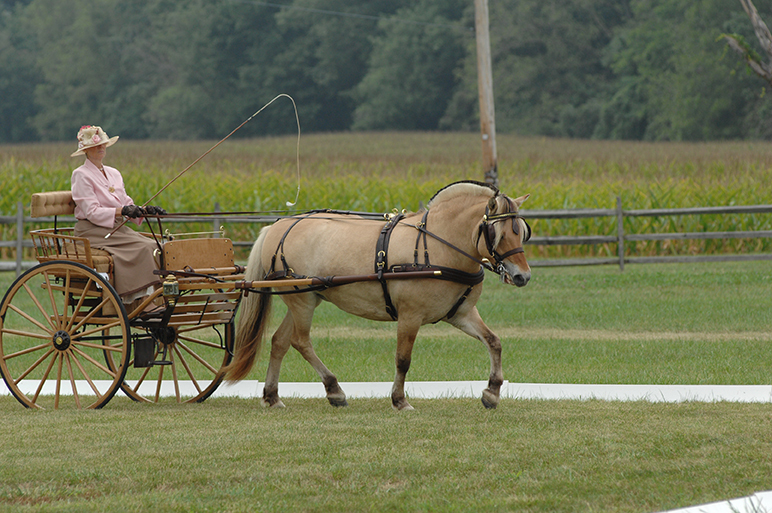 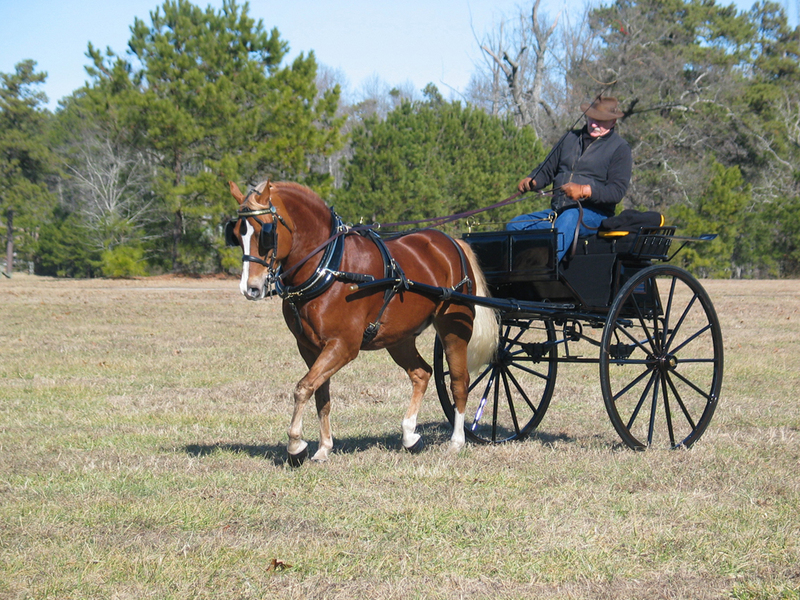 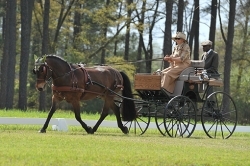 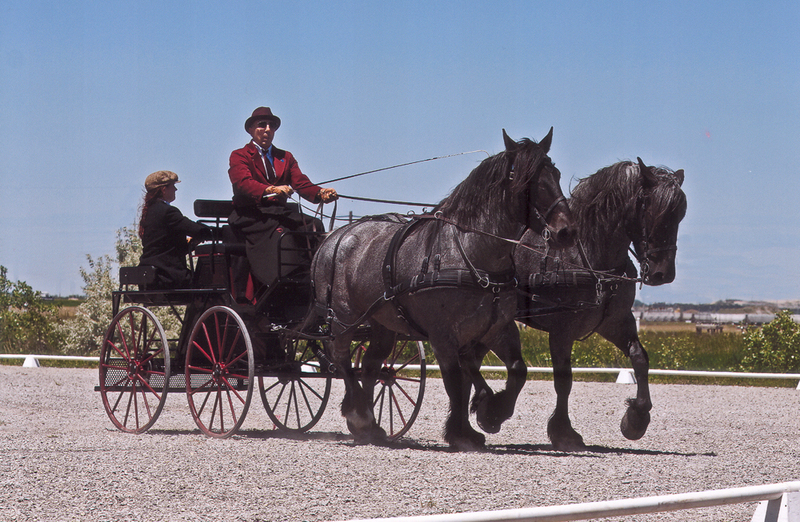 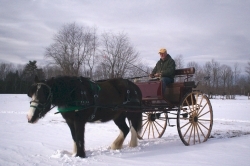 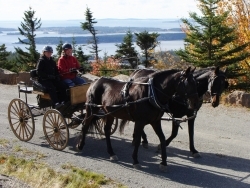 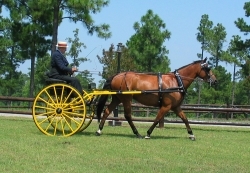 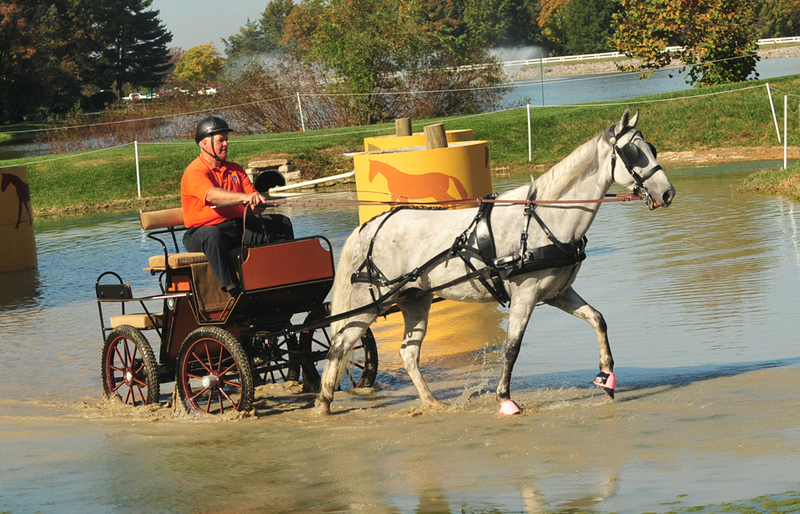 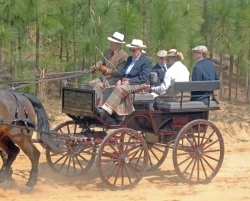 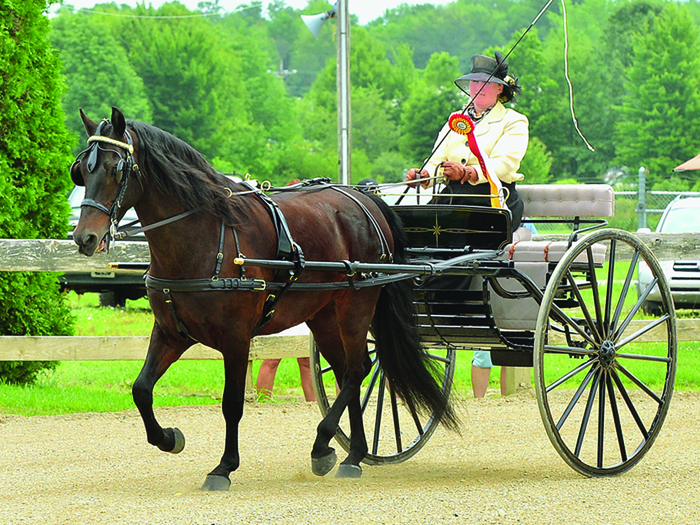 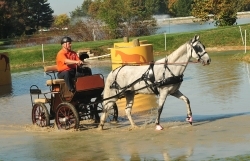 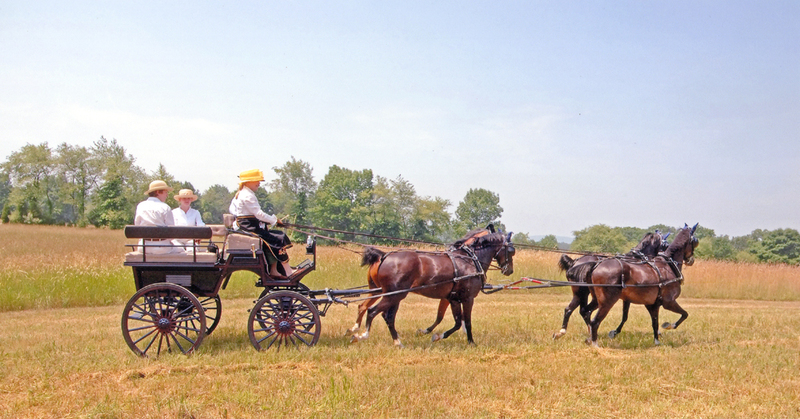 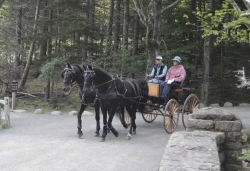 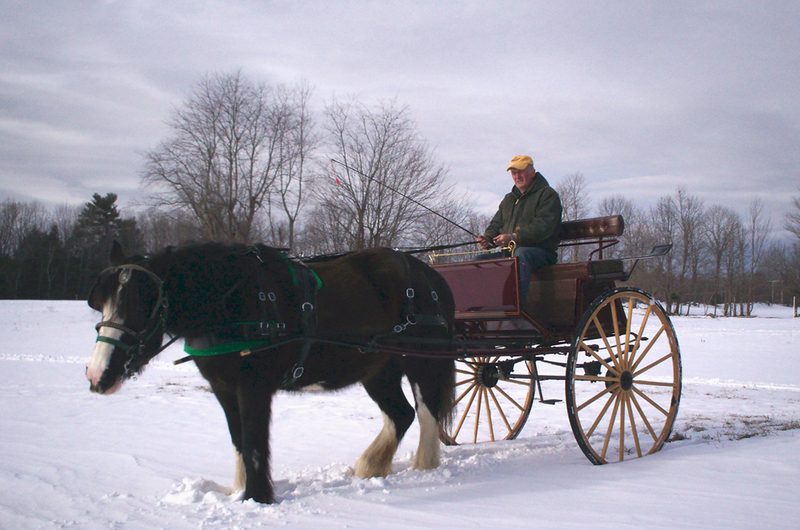 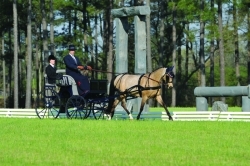 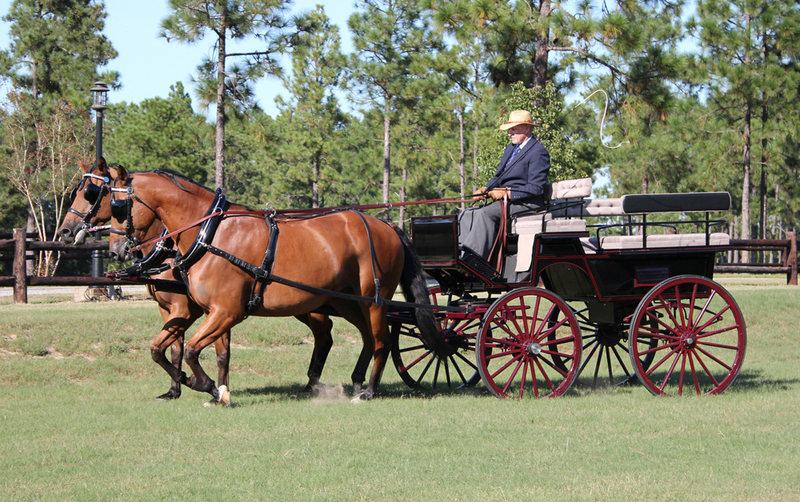 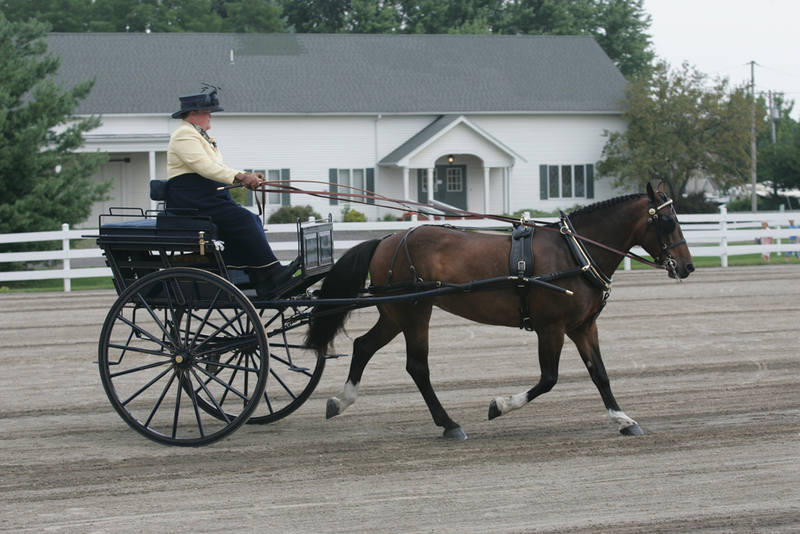 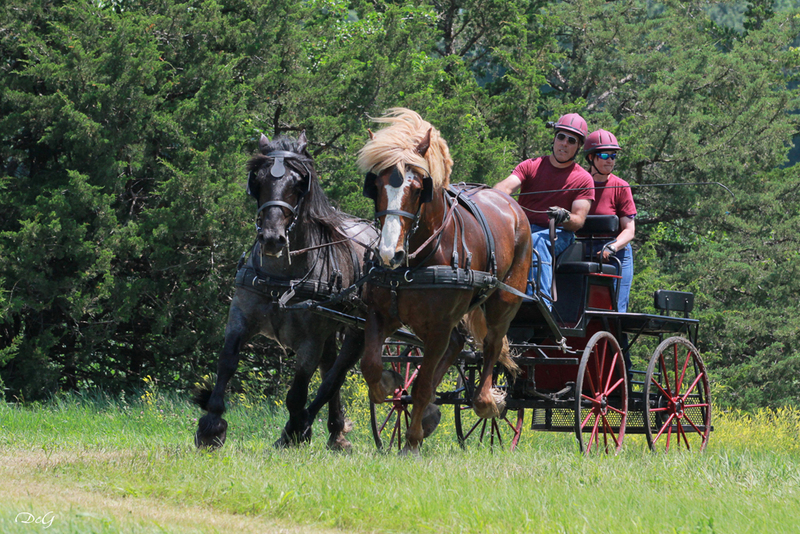 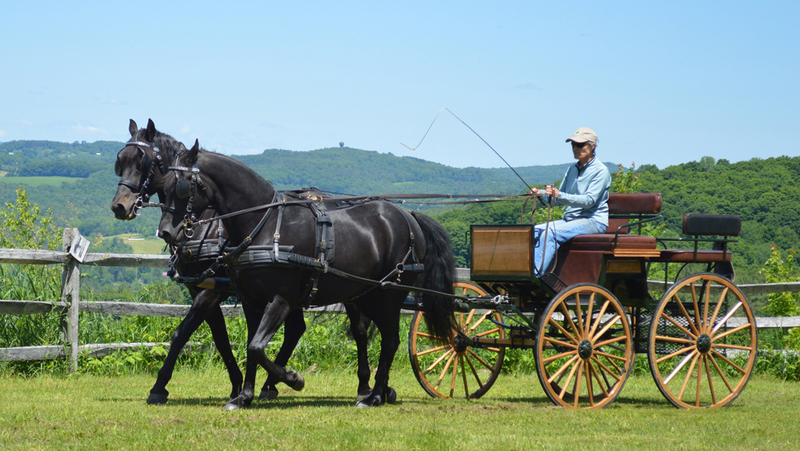 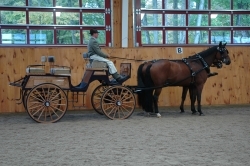 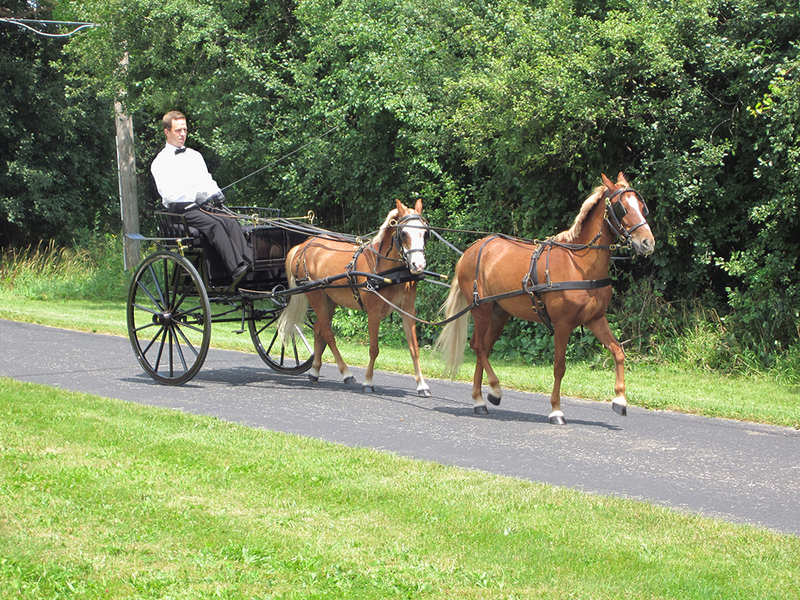 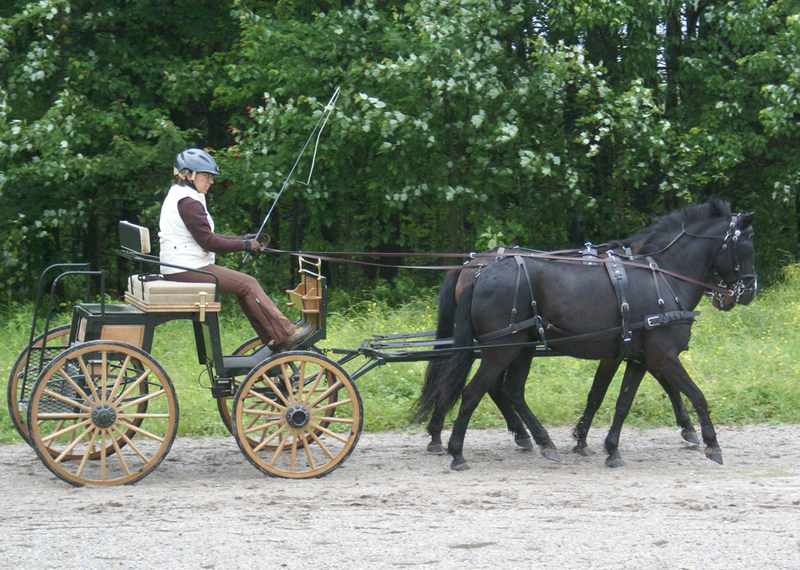 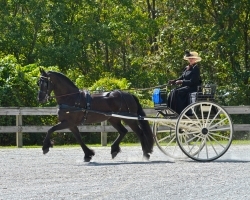 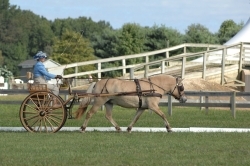 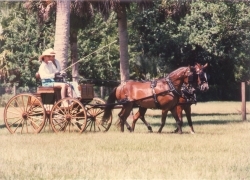 Steve Siegel drives his Bird-in-Hand Draft Horse Red Hawk. 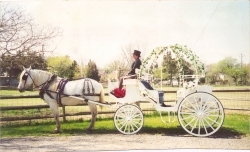 The Cinderella wedding top makes wedding dreams come true! 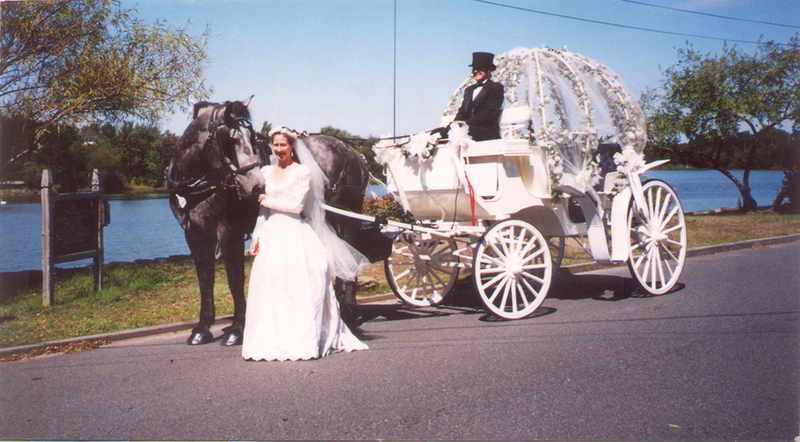 We can modify your BIH Vis-a-Vis with a Cinderella top! 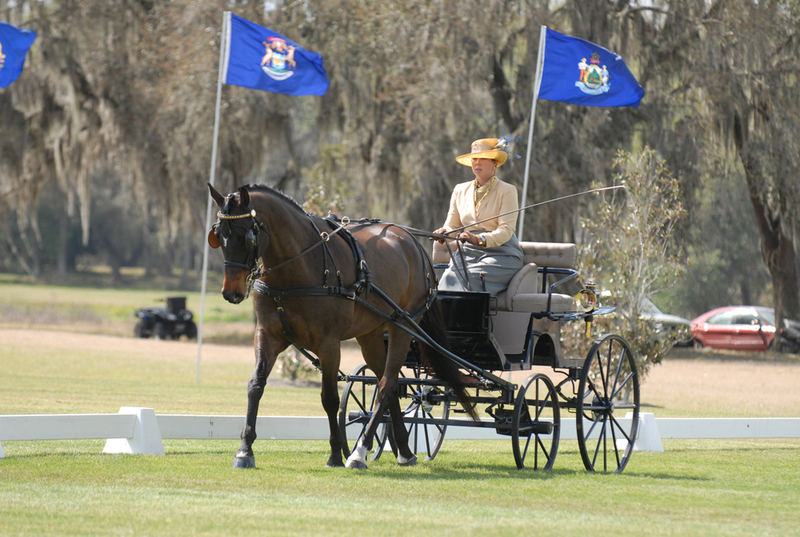 Bonnie Evans drives her Bird-in-Hand Eaglet through a gorgeous landscape!